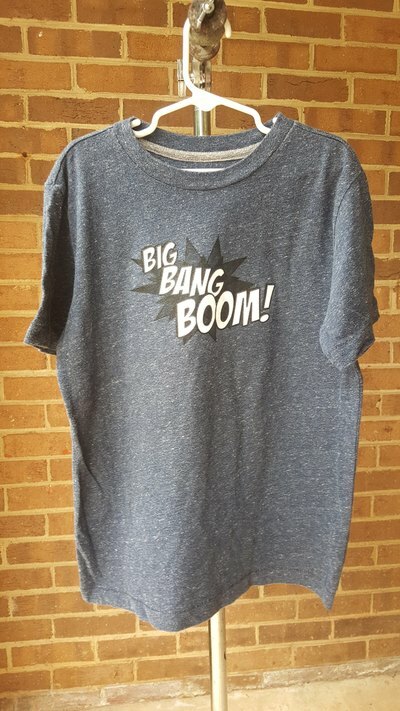 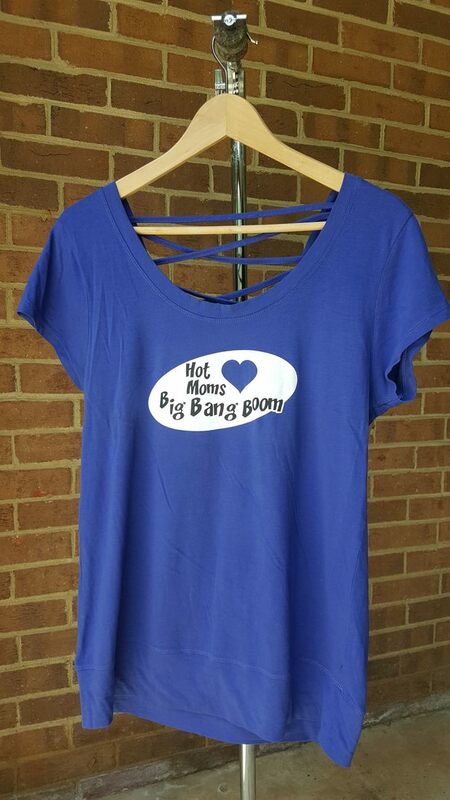 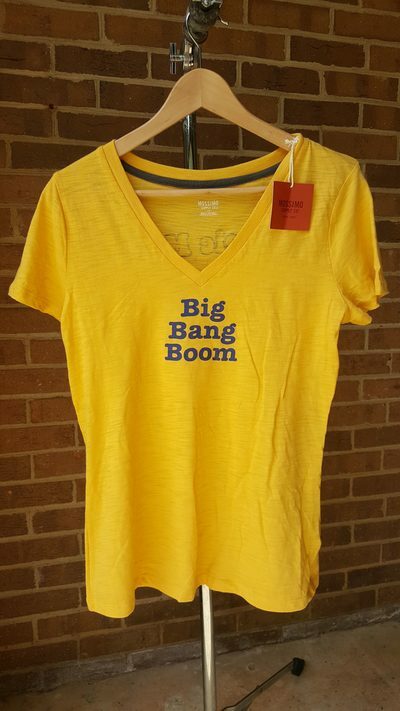 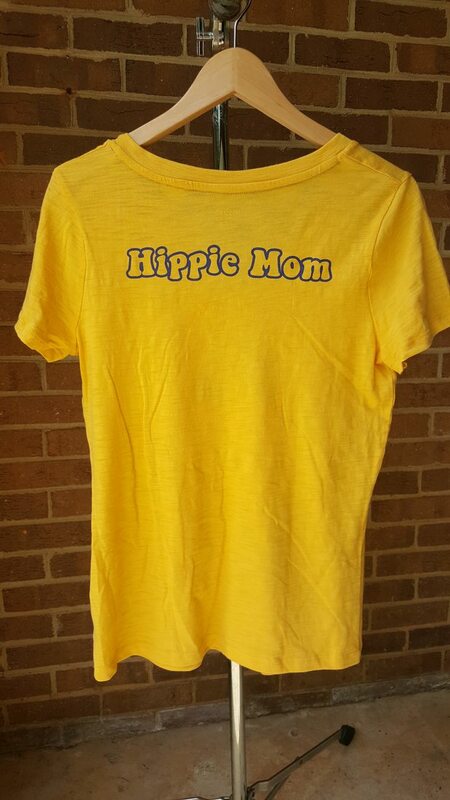 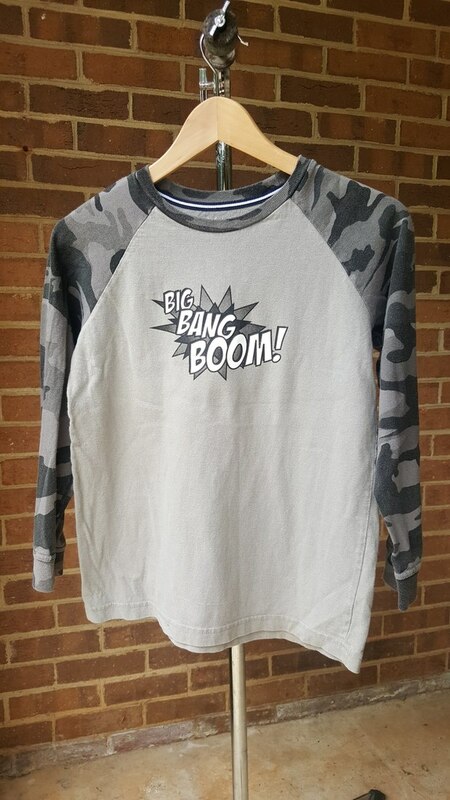 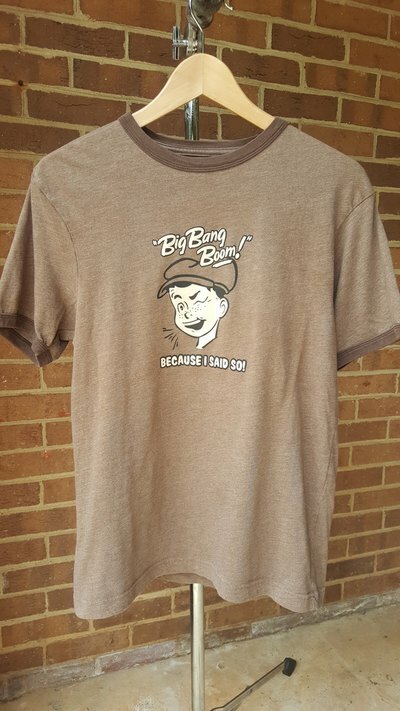 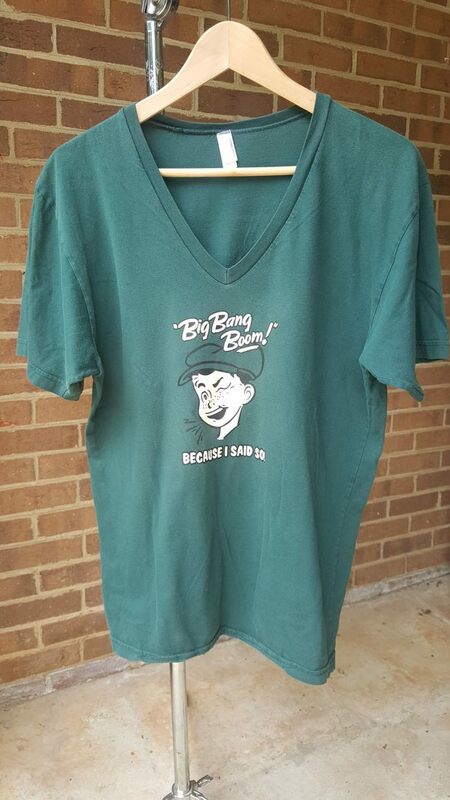 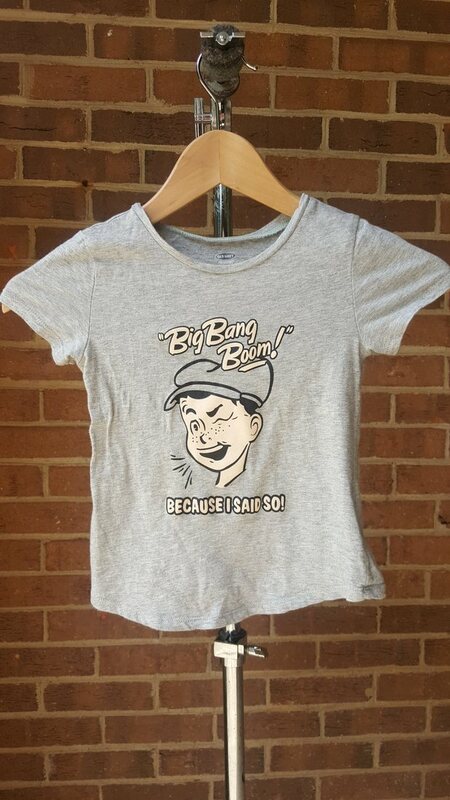 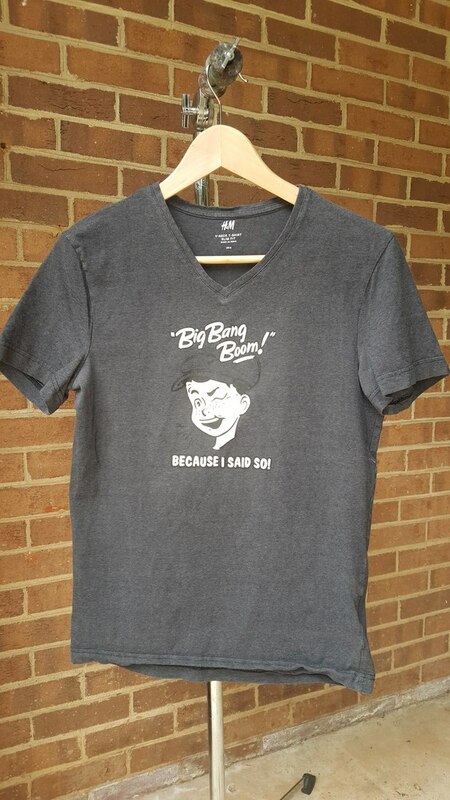 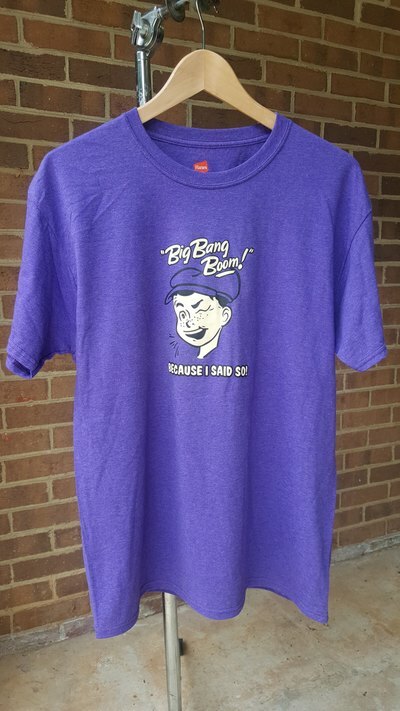 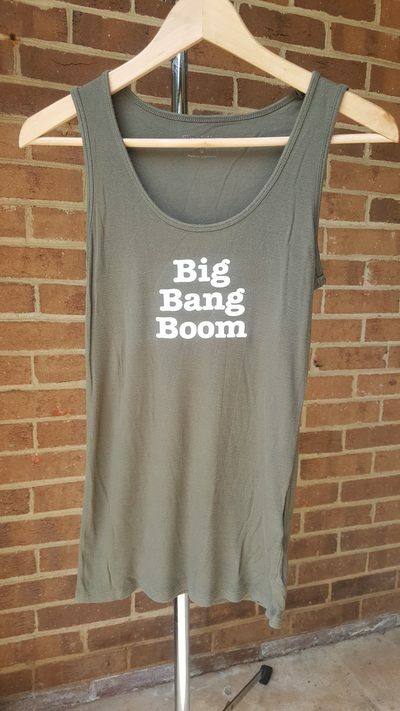 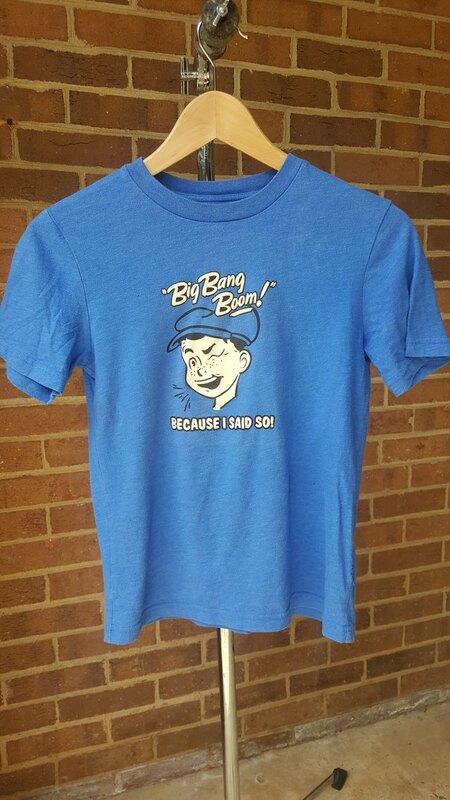 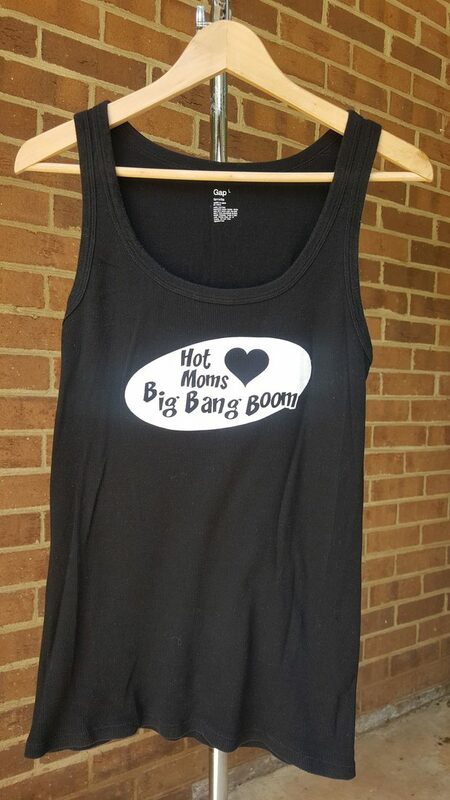 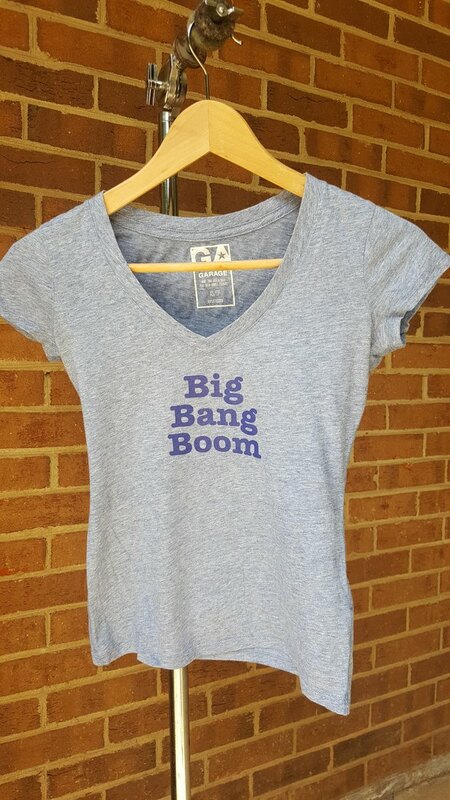 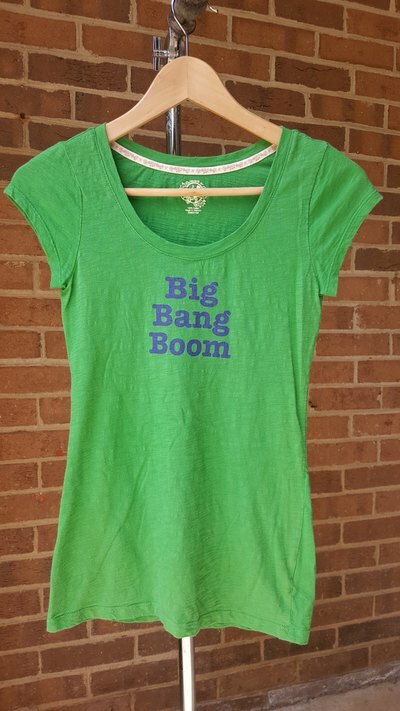 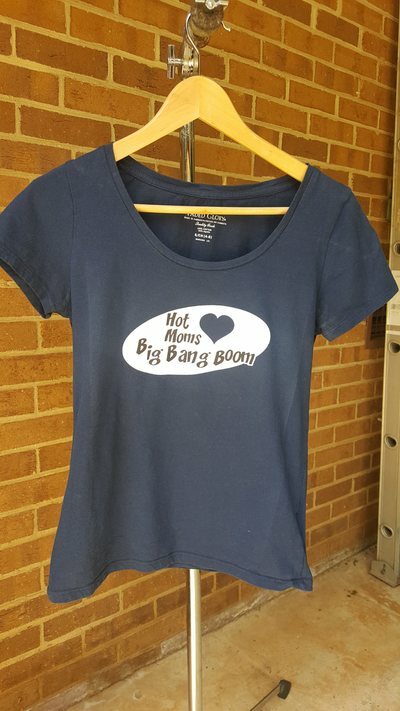 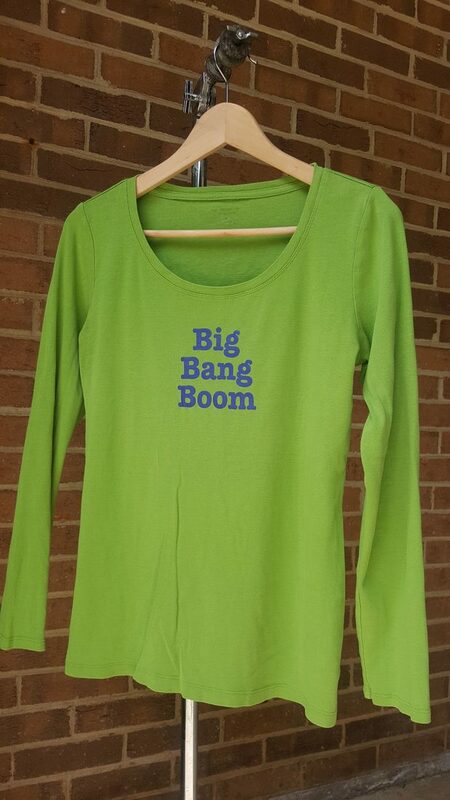 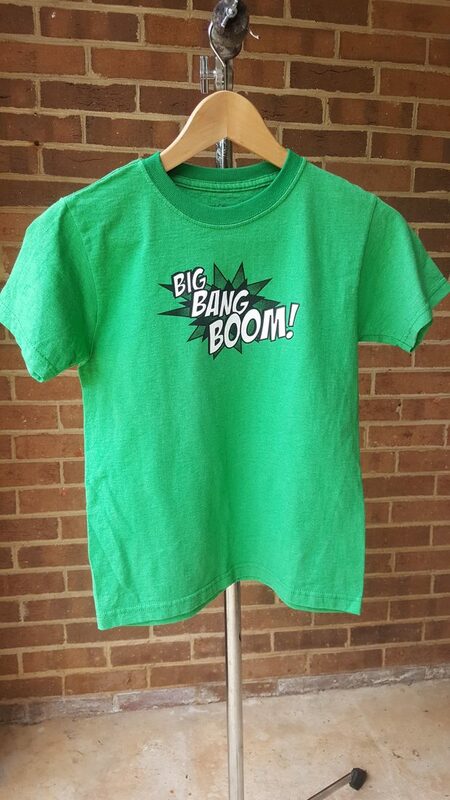 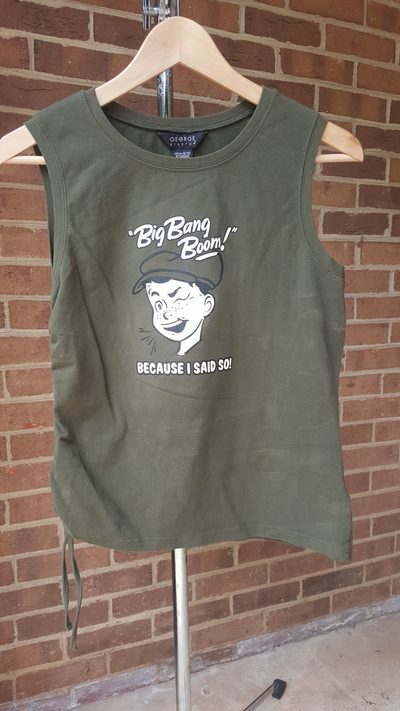 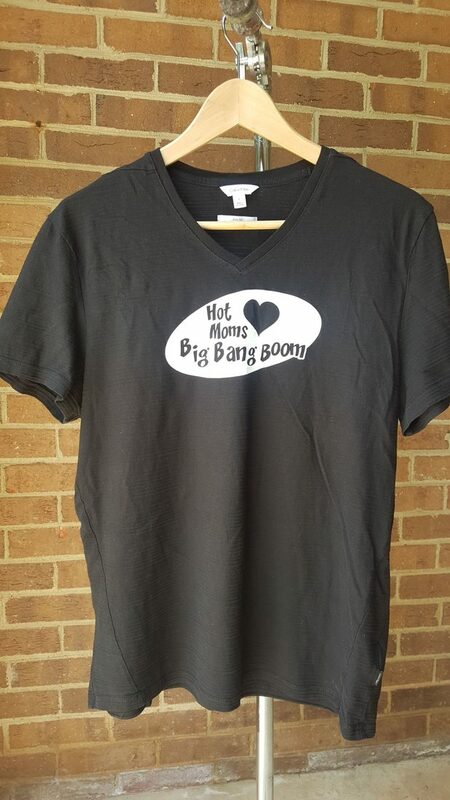 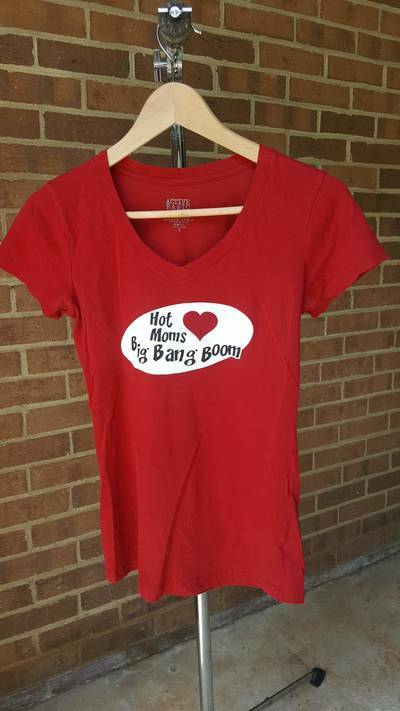 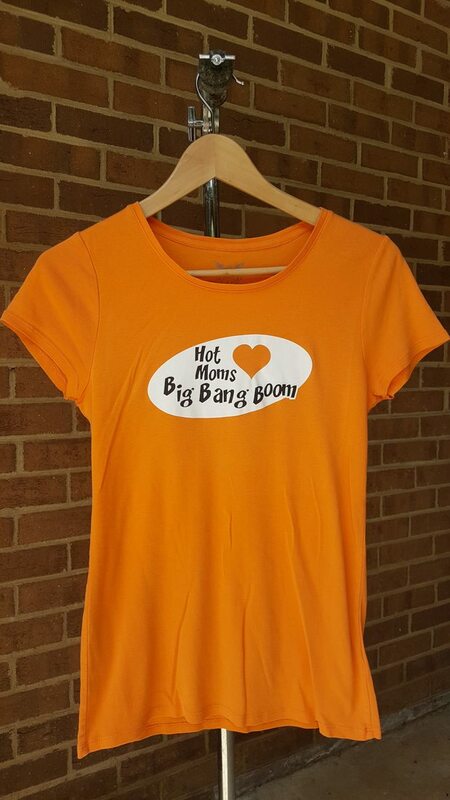 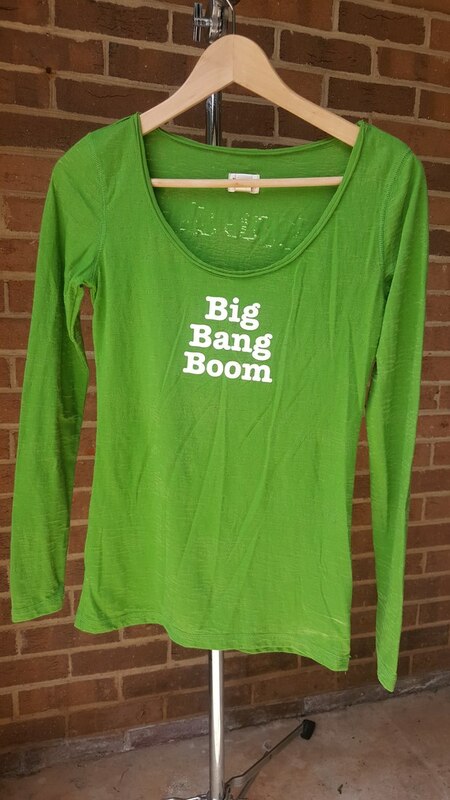 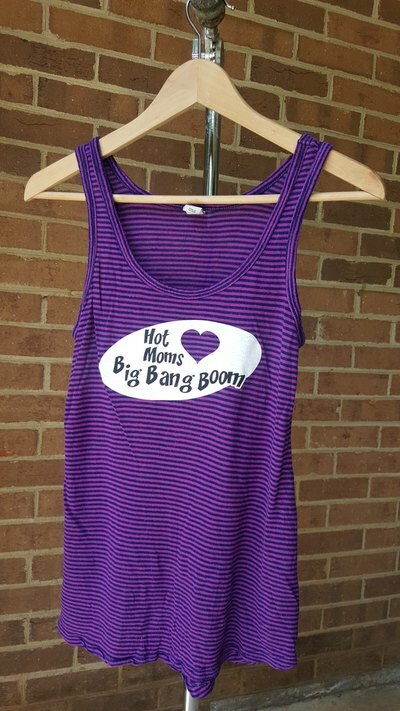 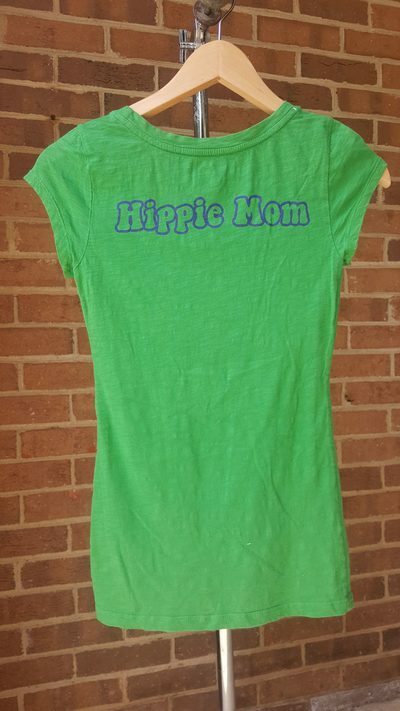 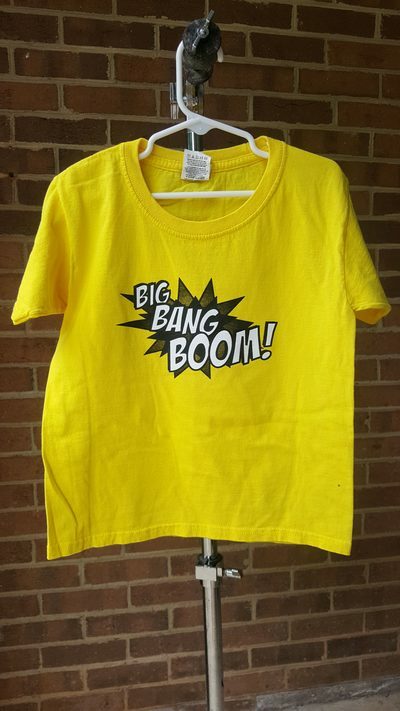 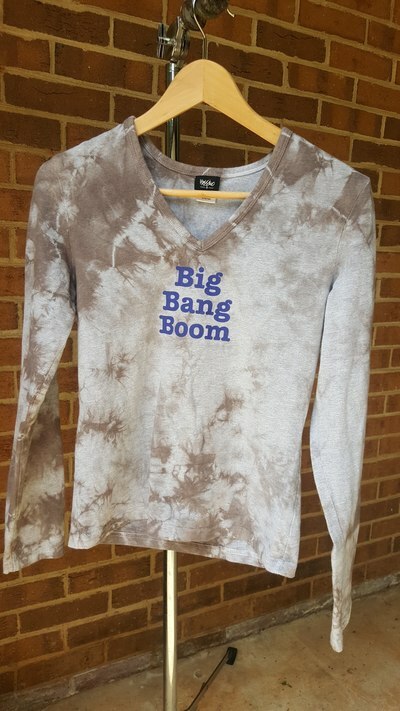 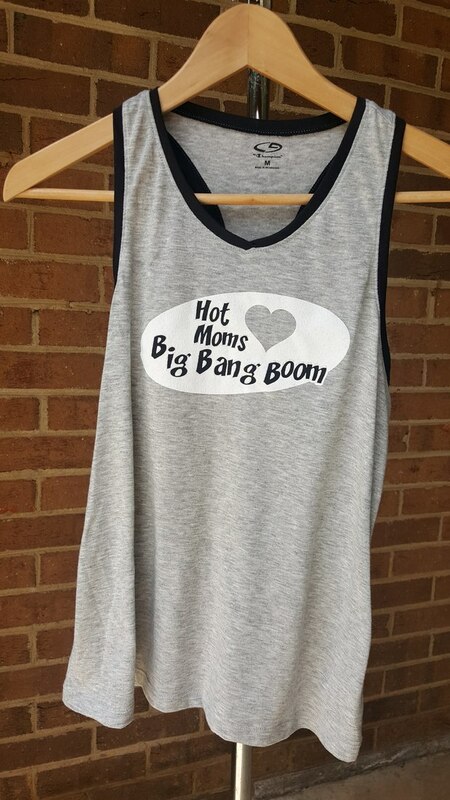 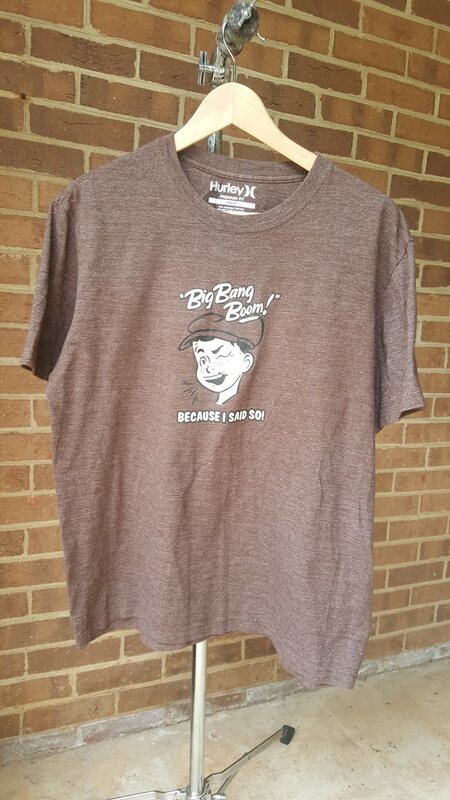 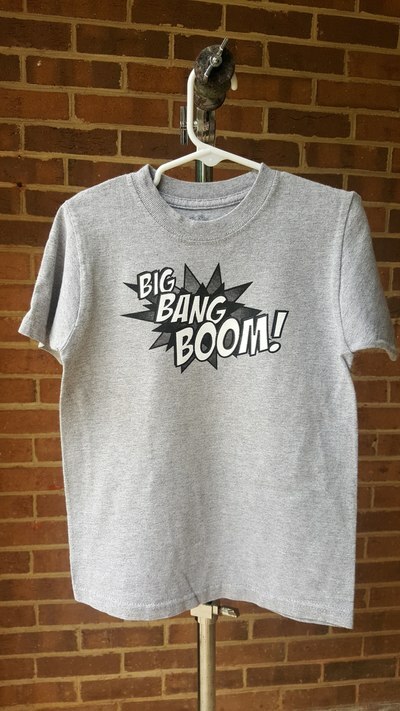 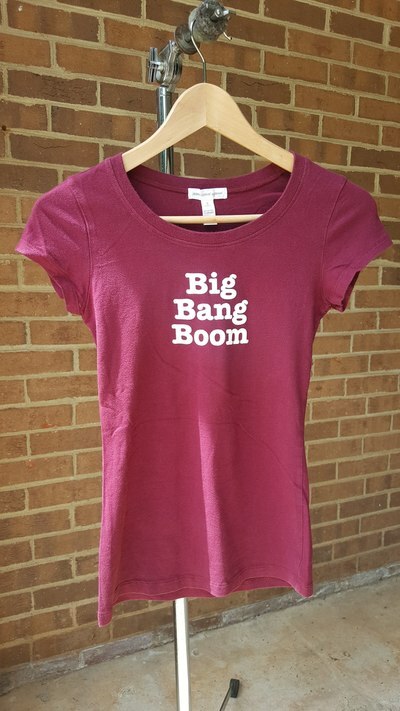 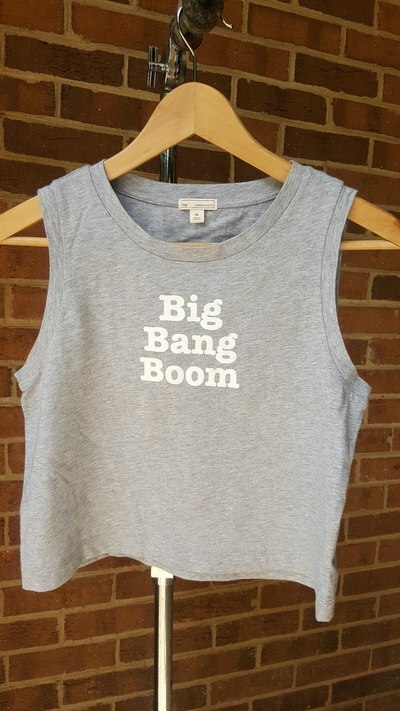 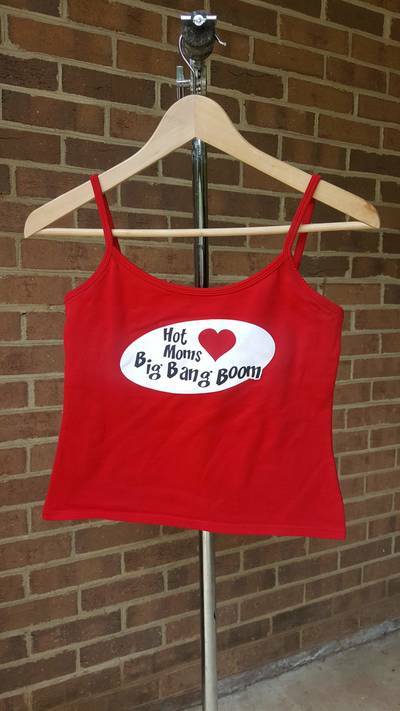 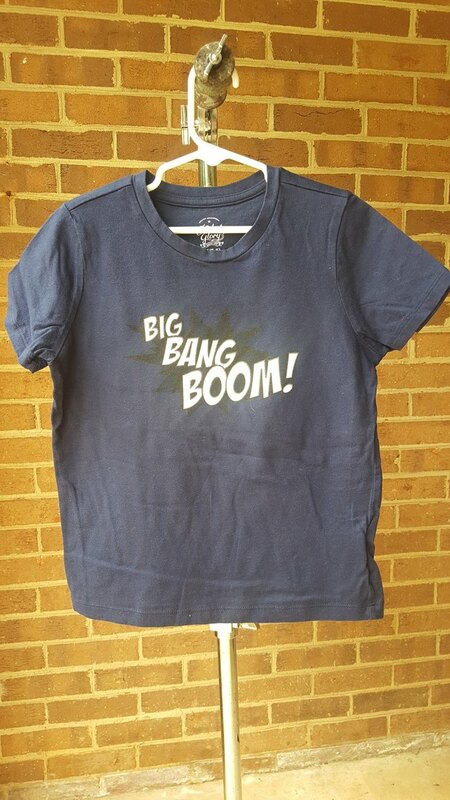 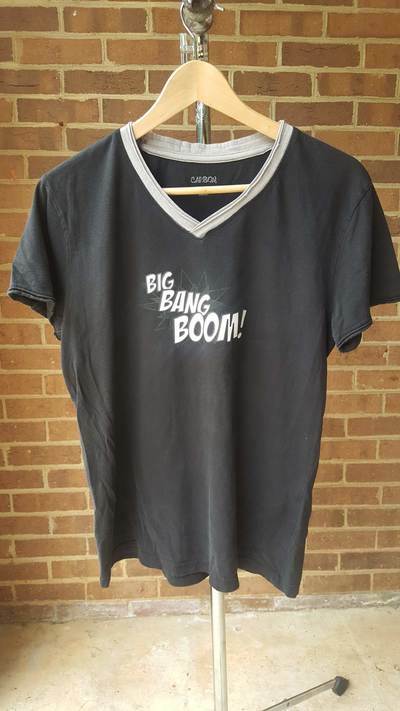 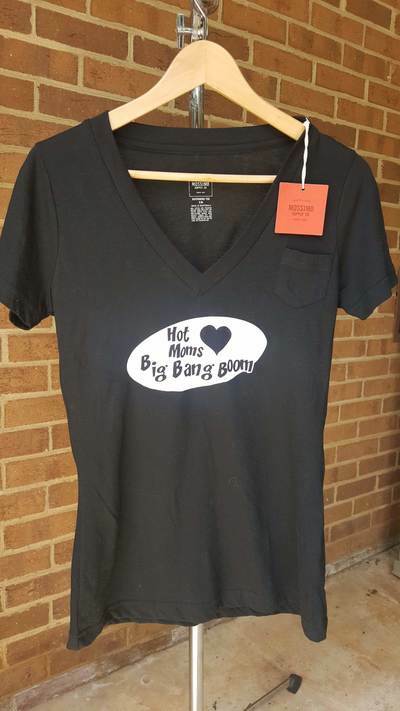 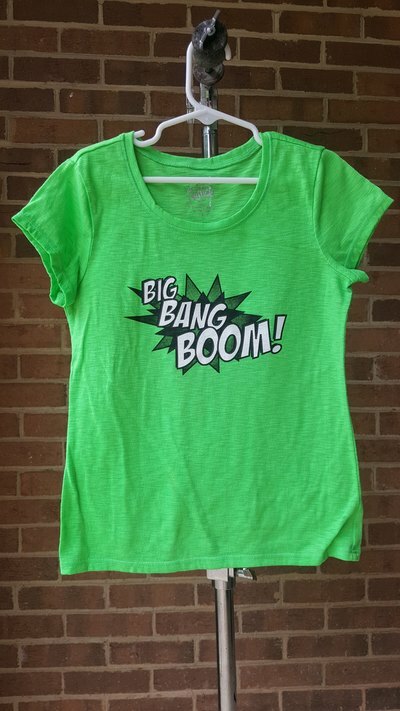 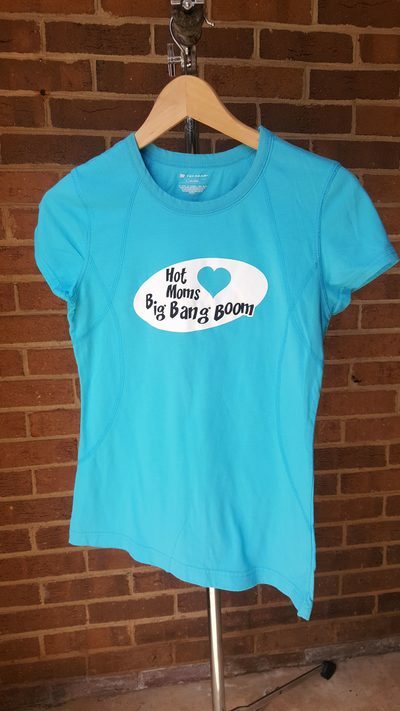 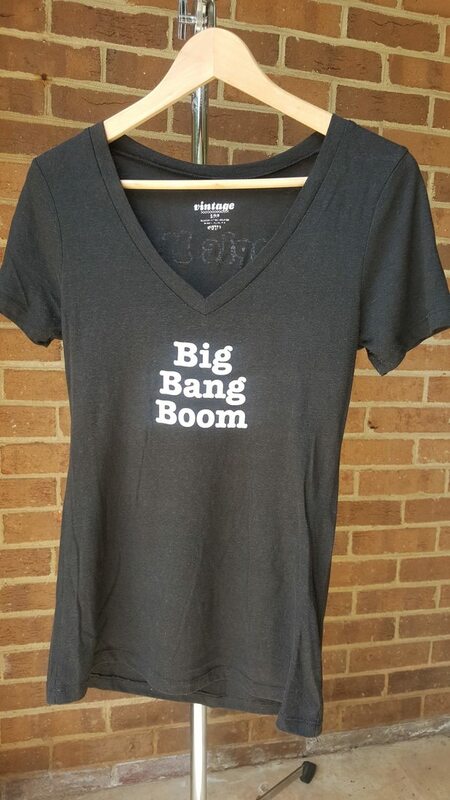 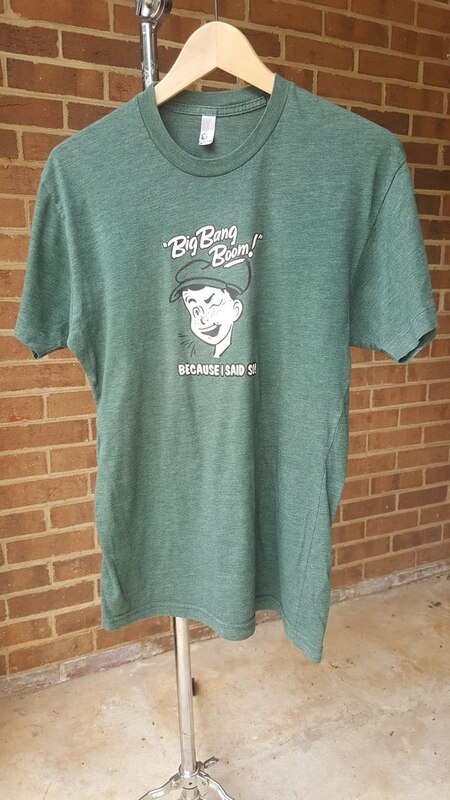 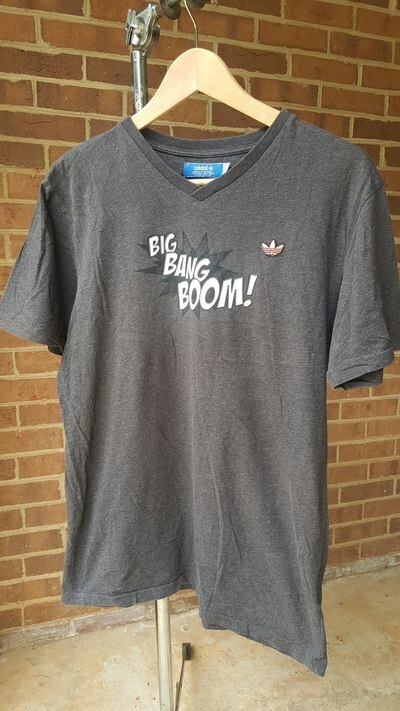 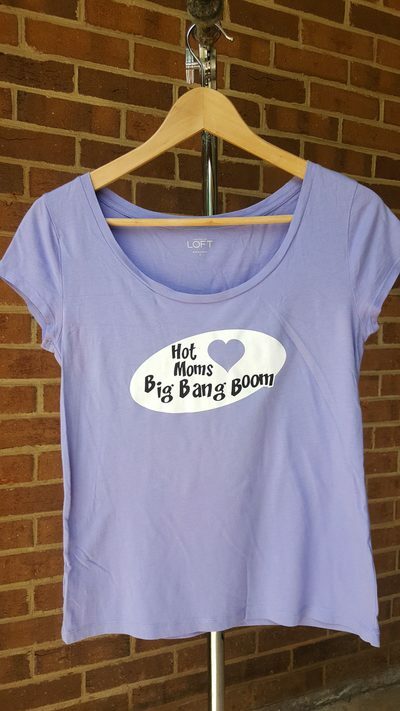 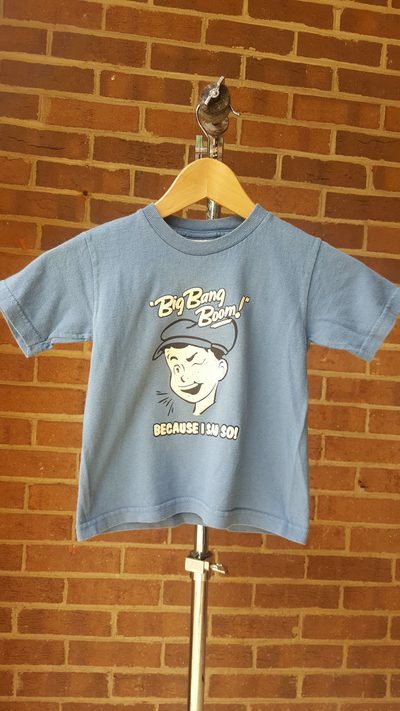 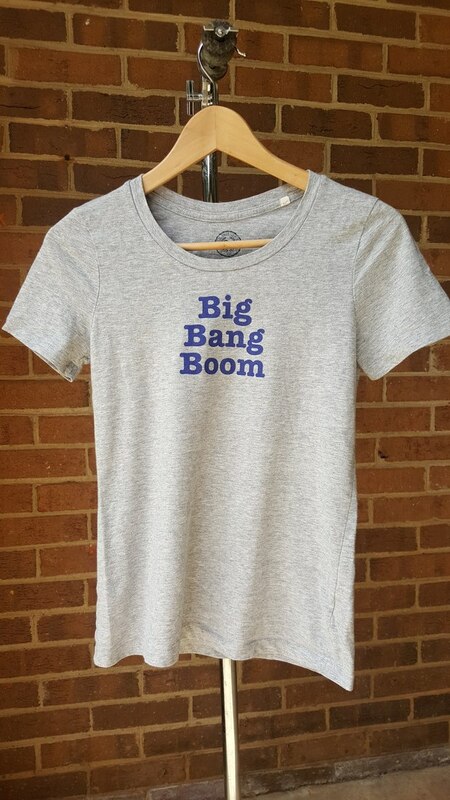 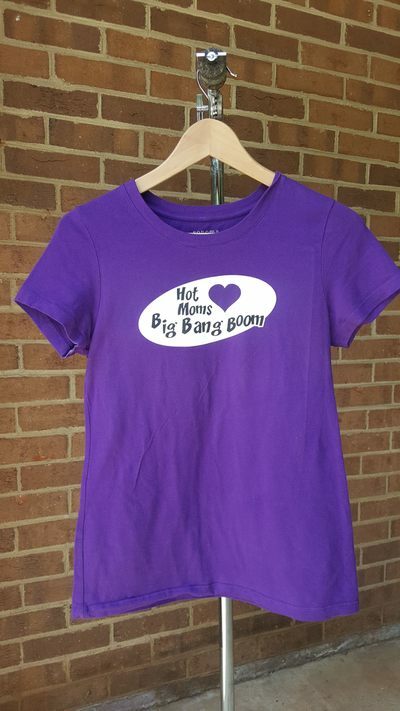 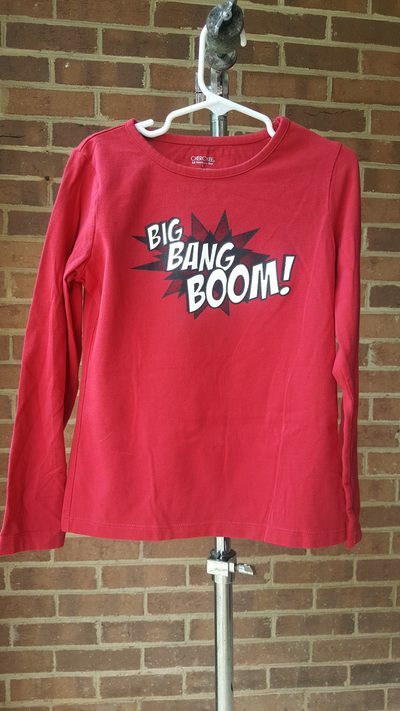 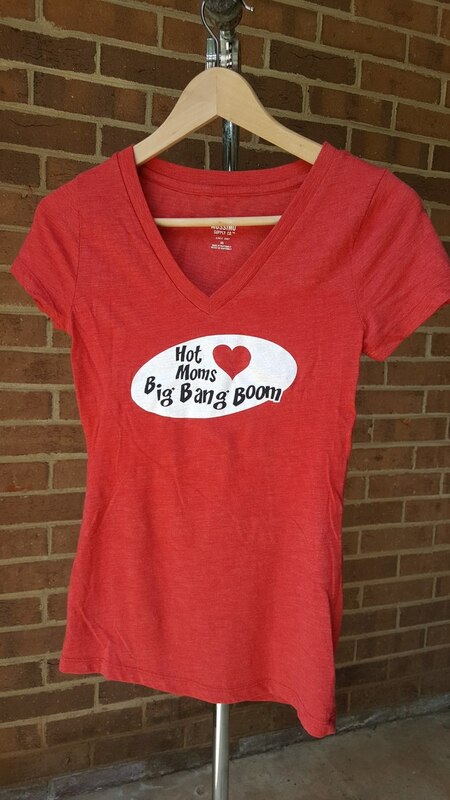 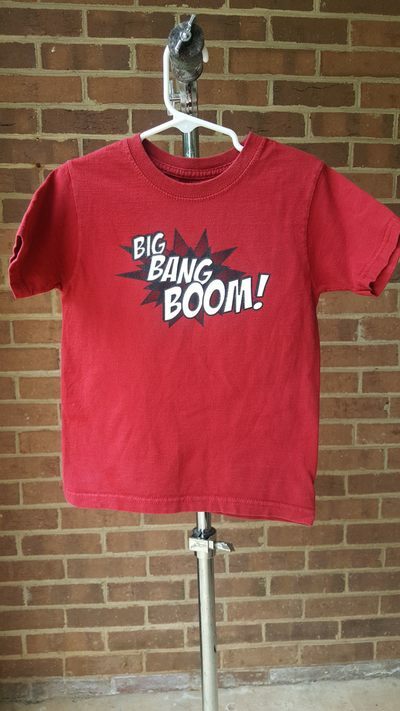 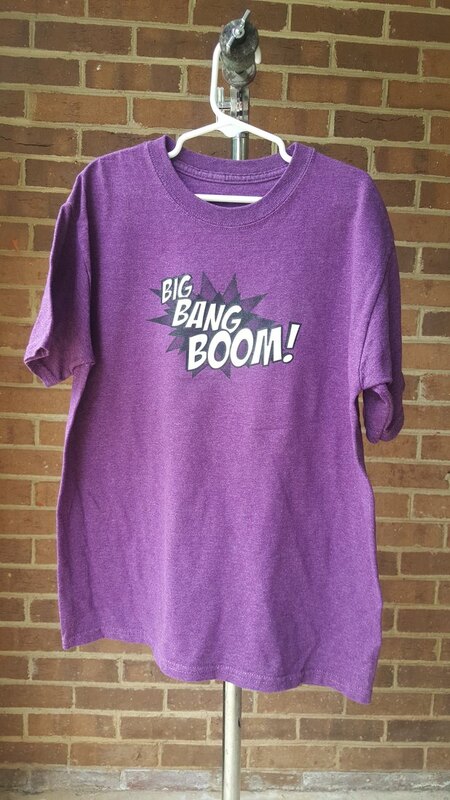 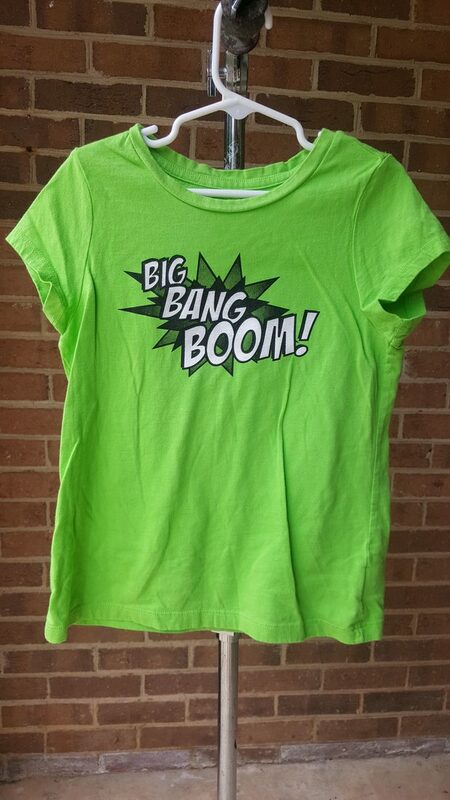 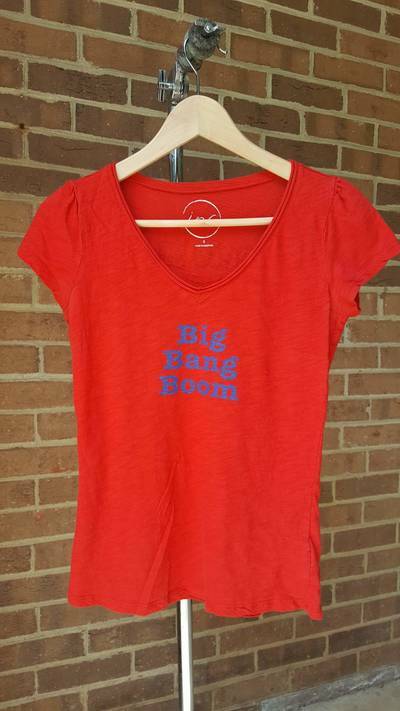 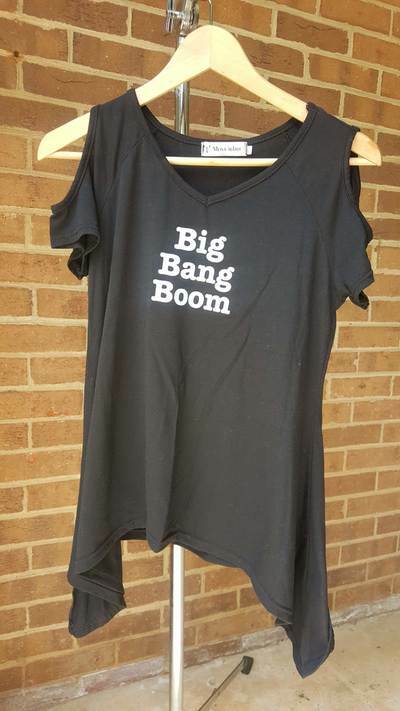 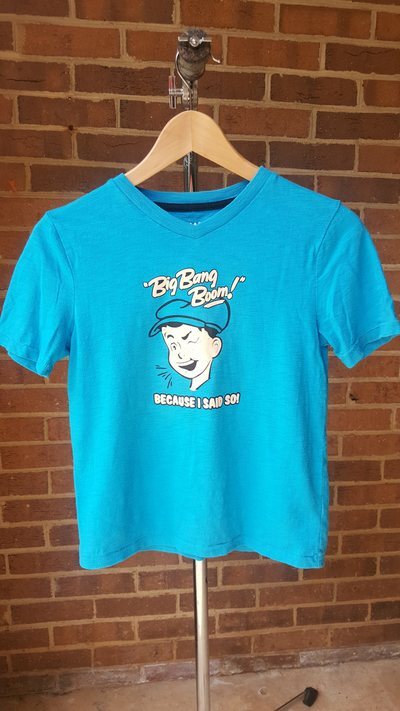 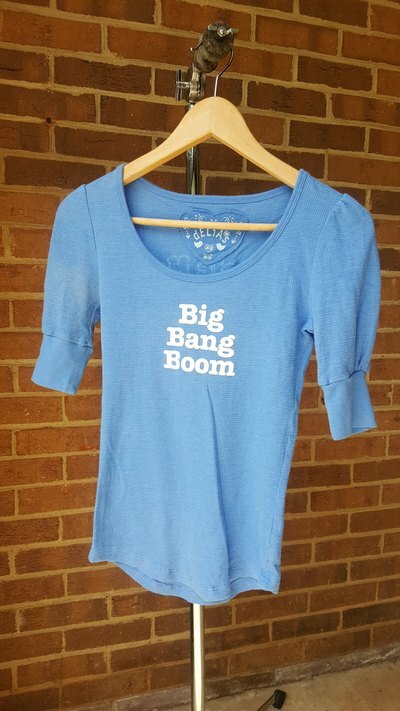 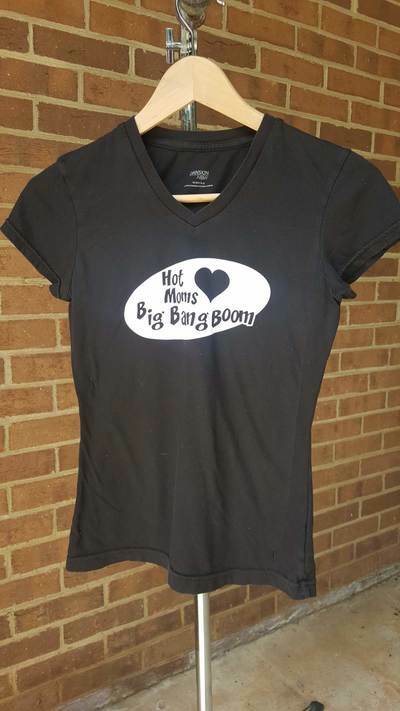 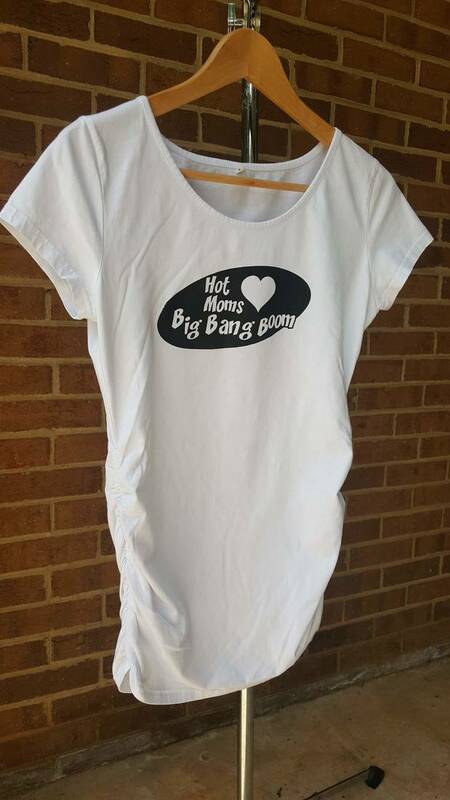 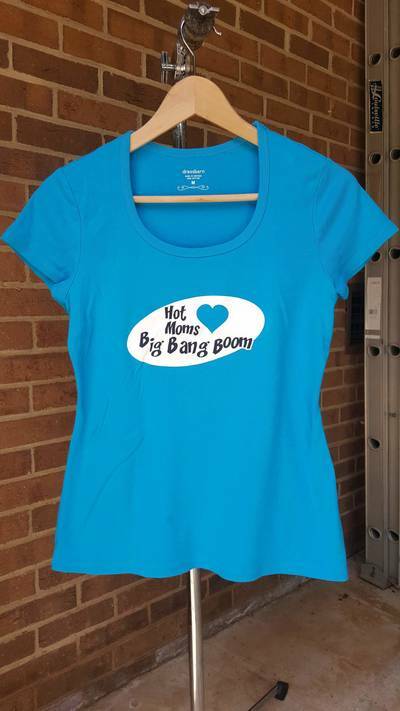 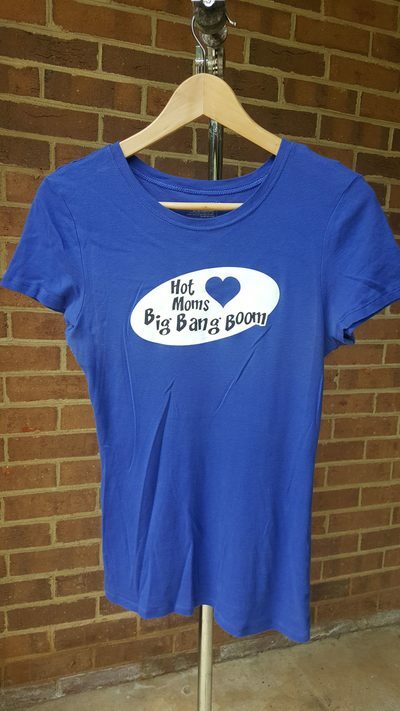 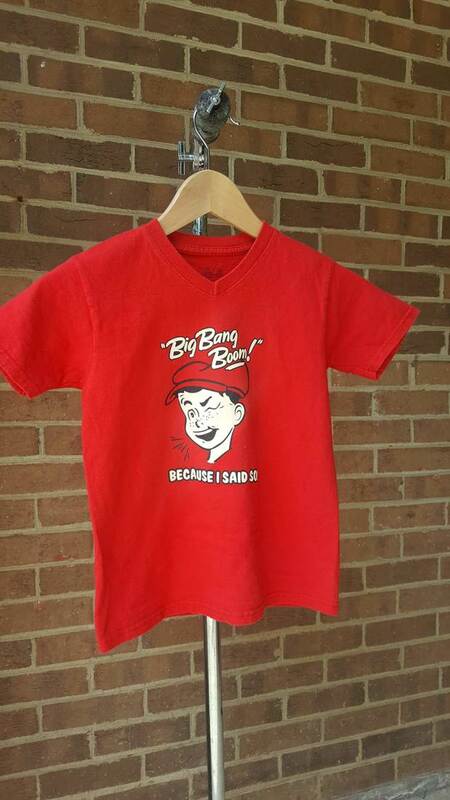 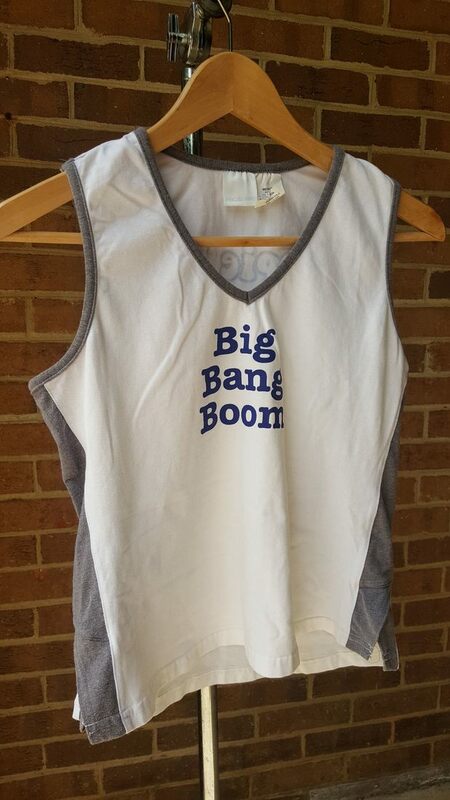 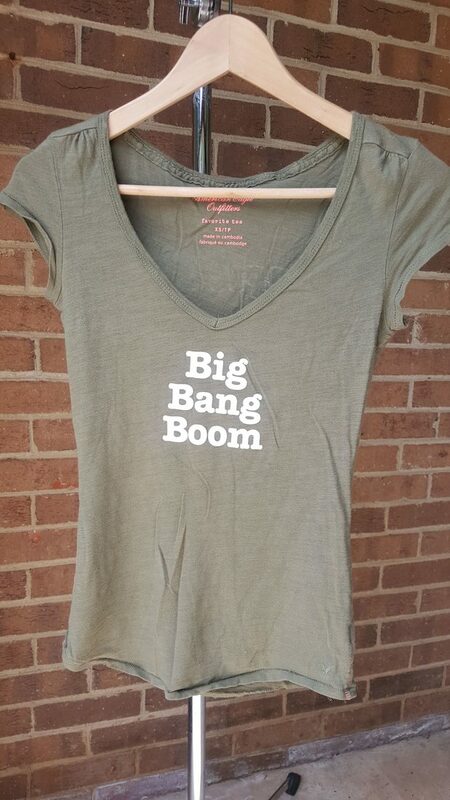 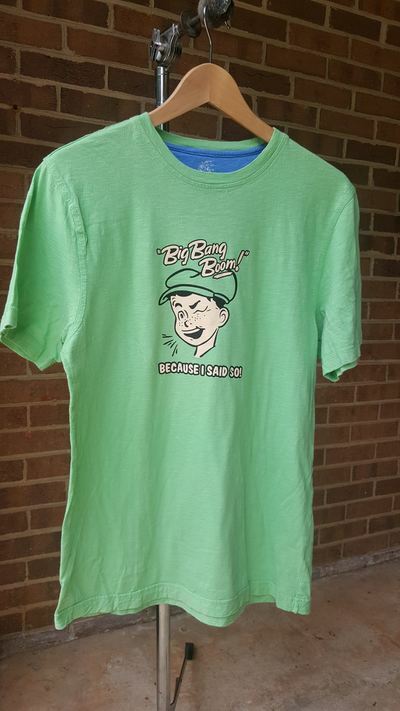 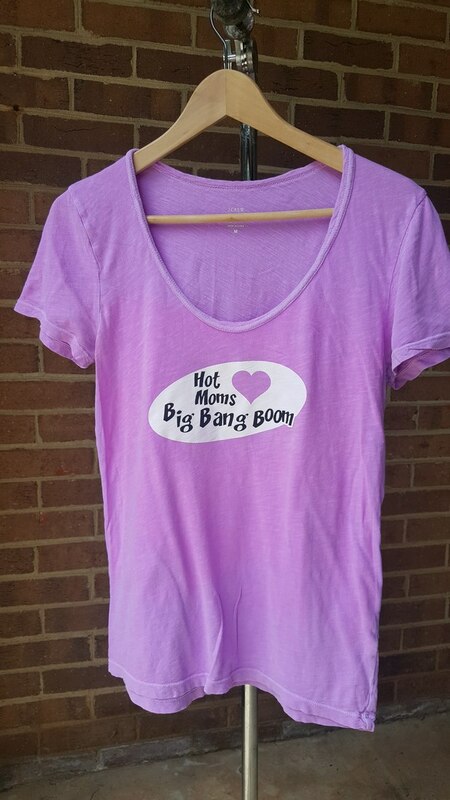 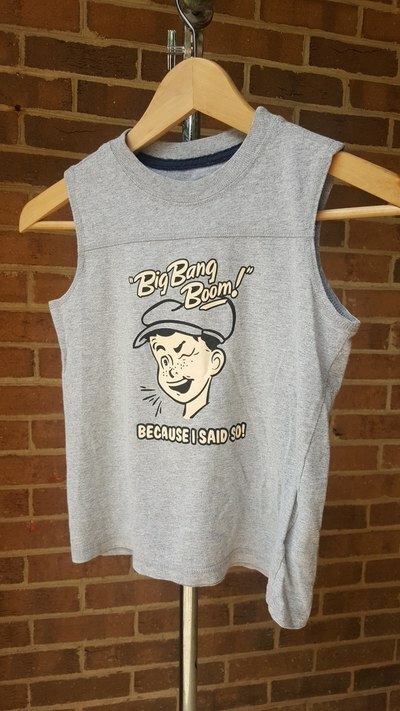 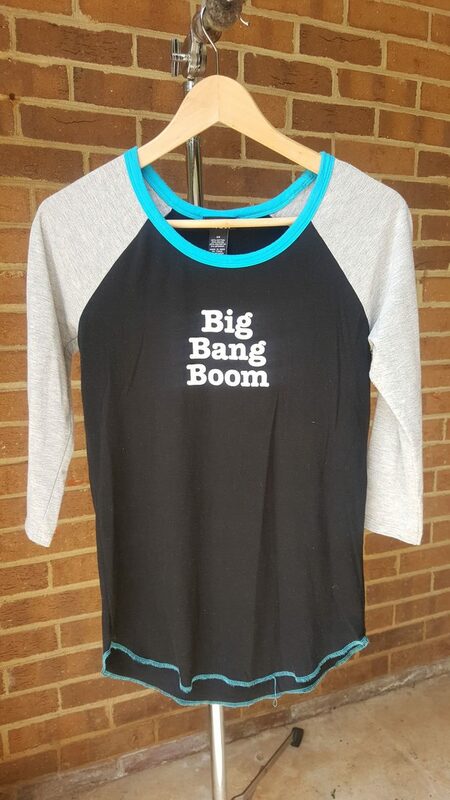 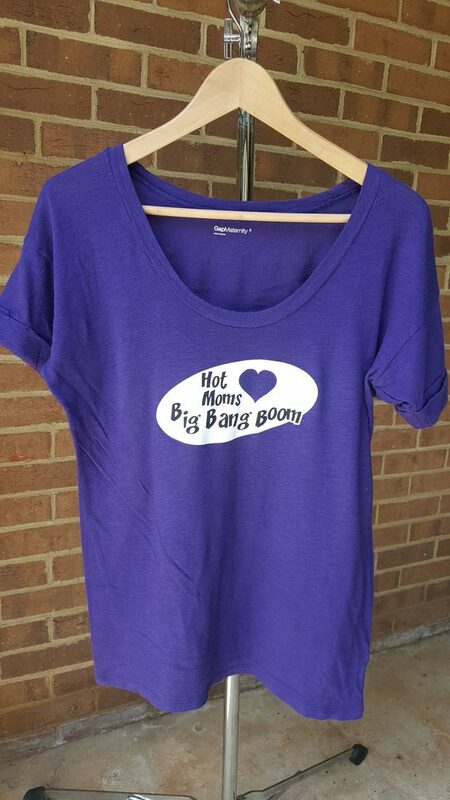 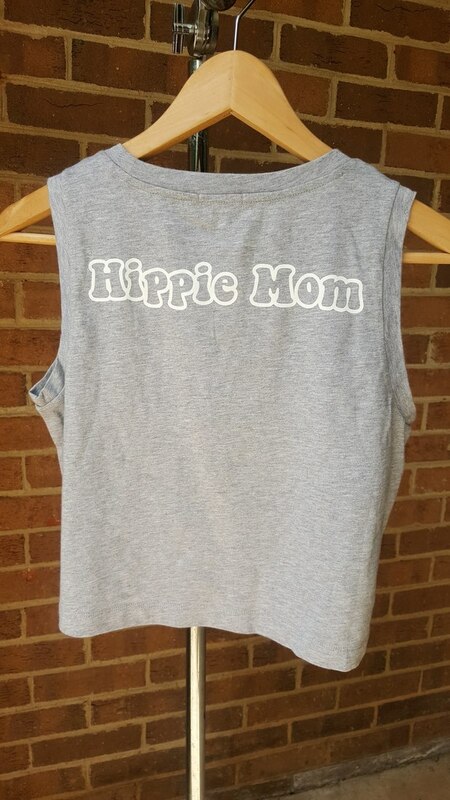 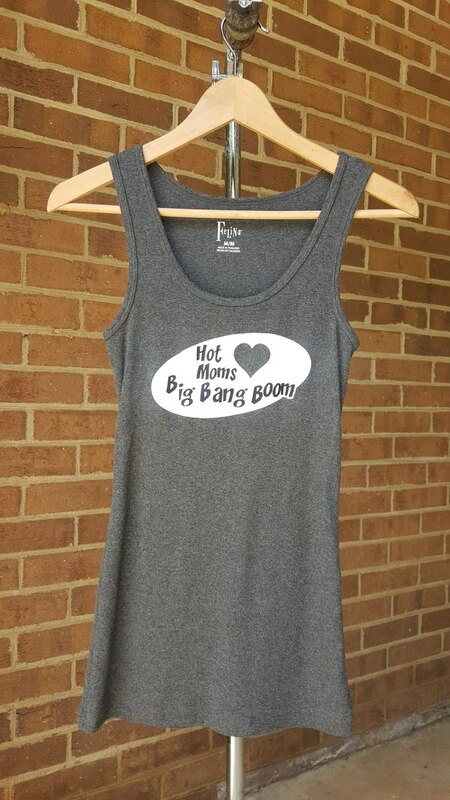 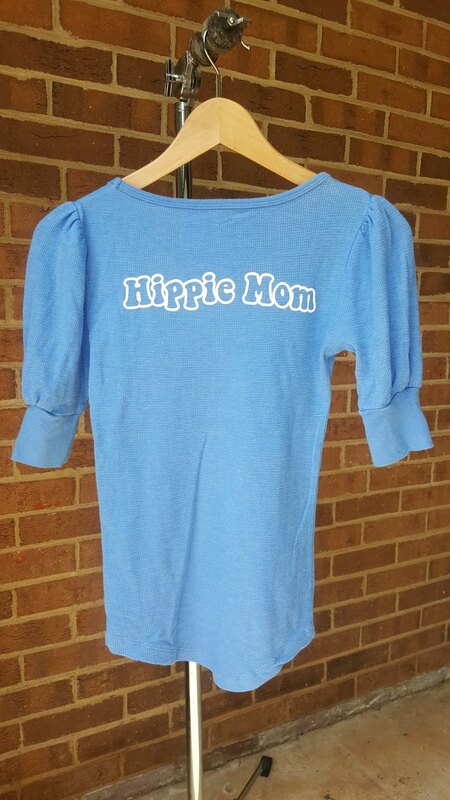 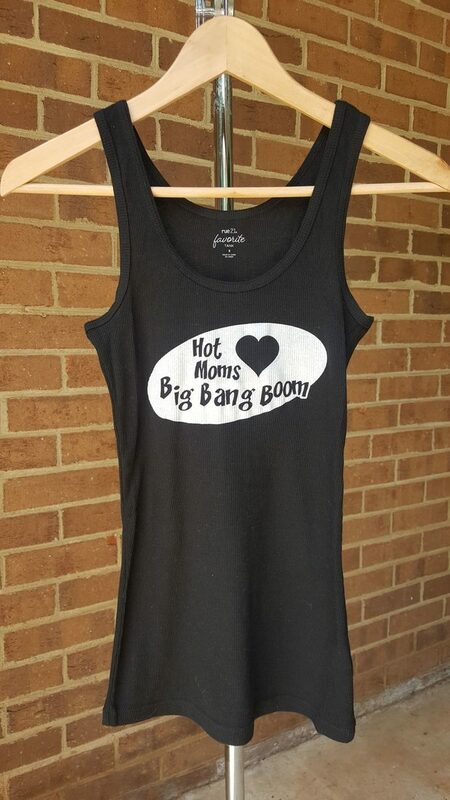 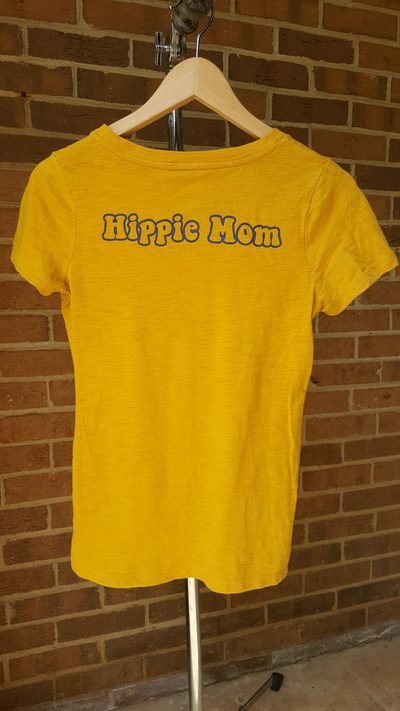 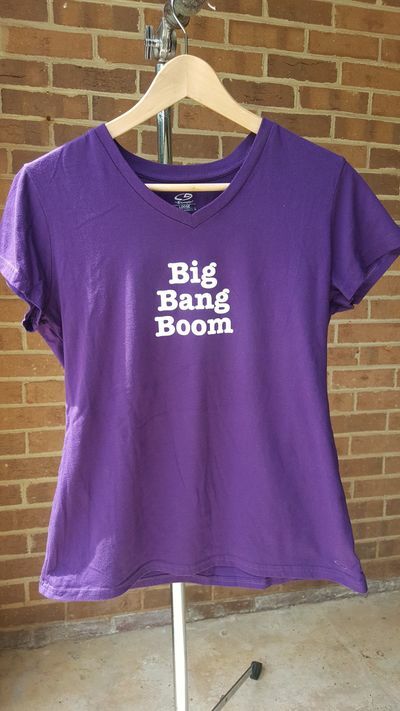 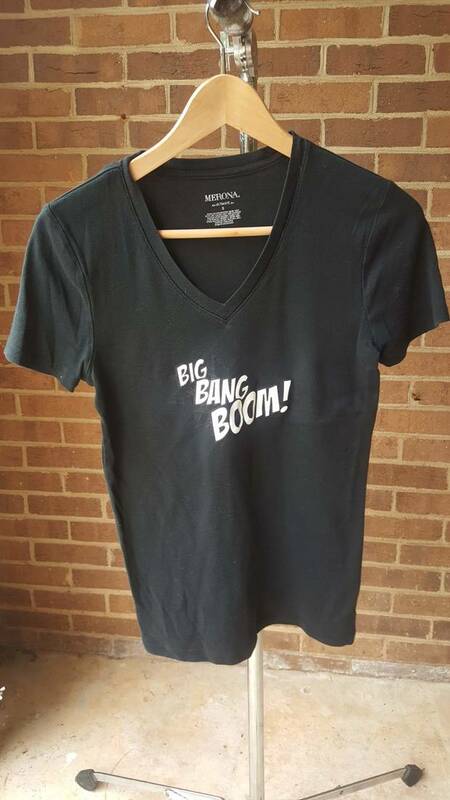 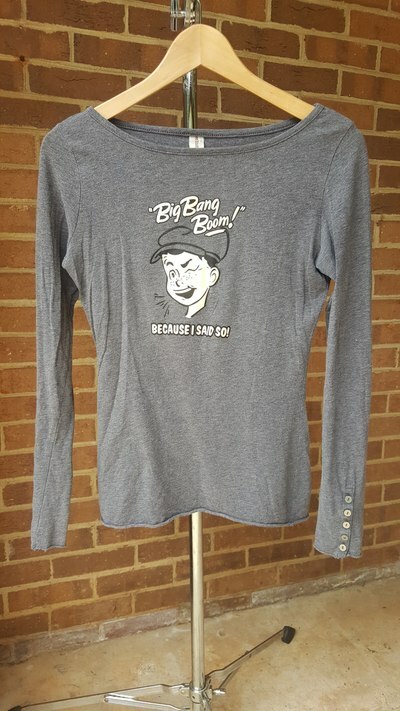 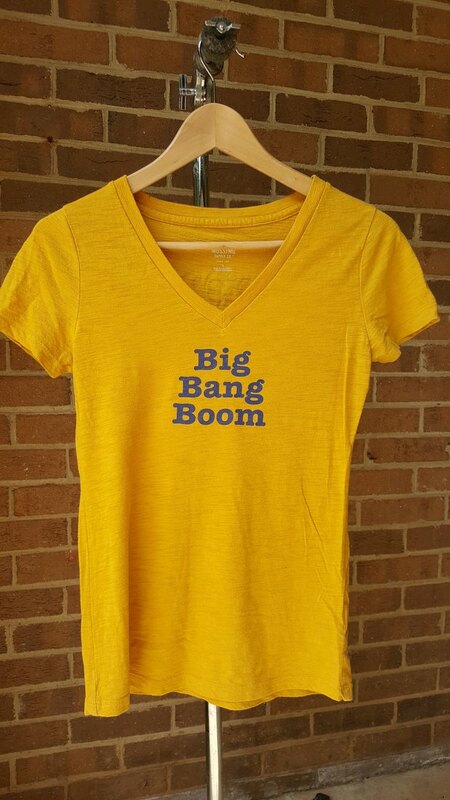 Our Upcycled Big Bang Boom Shirts were hand-selected by our thrift store gurus (mostly our teenagers/ former groupies and hot moms), and hence, no two shirts are alike! 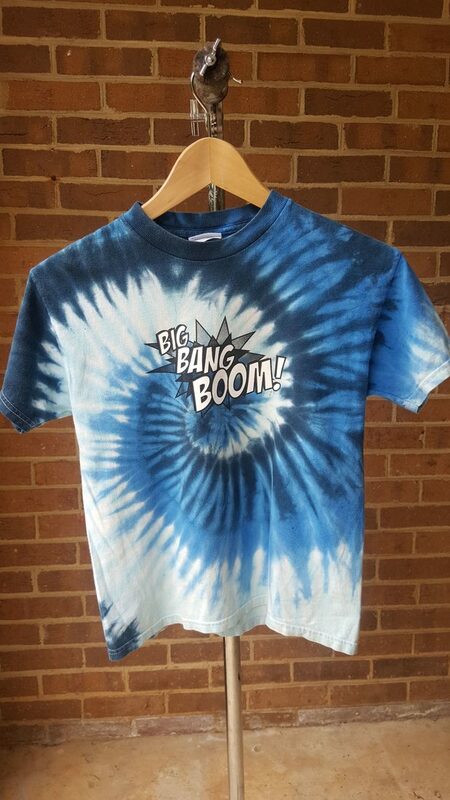 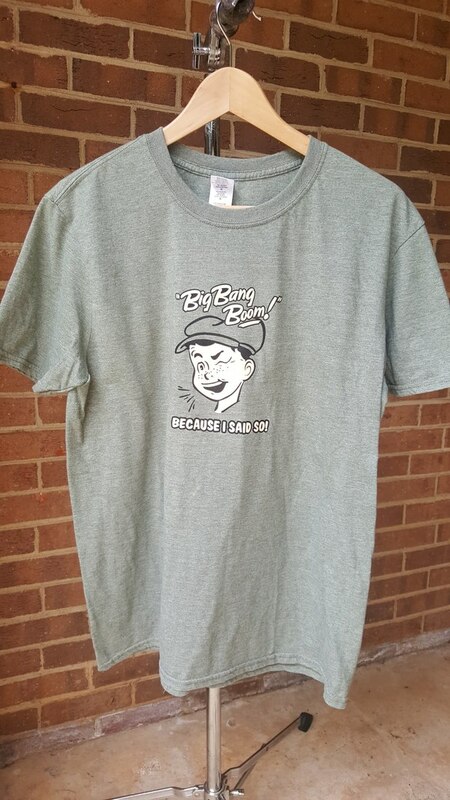 Each shirt has been screen printed with an original Big Bang Boom design by really cool people at the Mom and Pop Print Shop in Charlotte, NC. 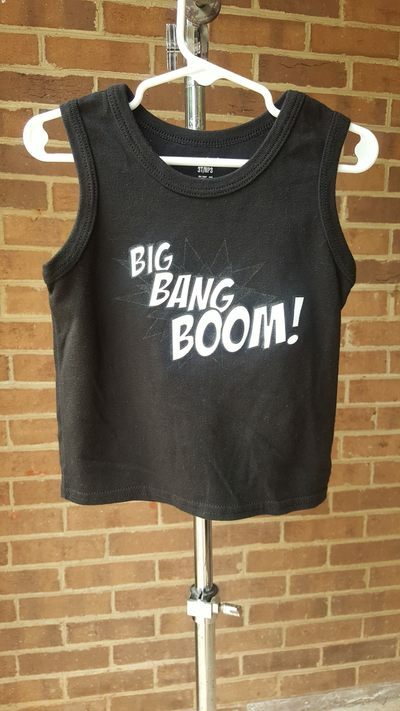 Big Bang Boom loves to reuse and upcycle stuff all while supporting local business! 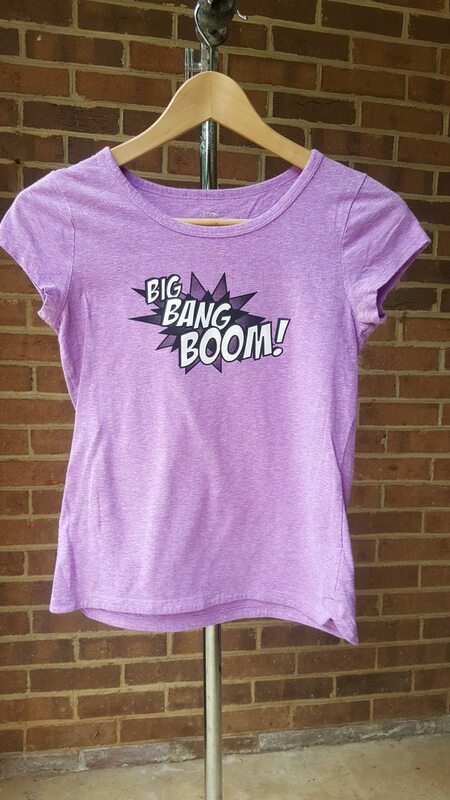 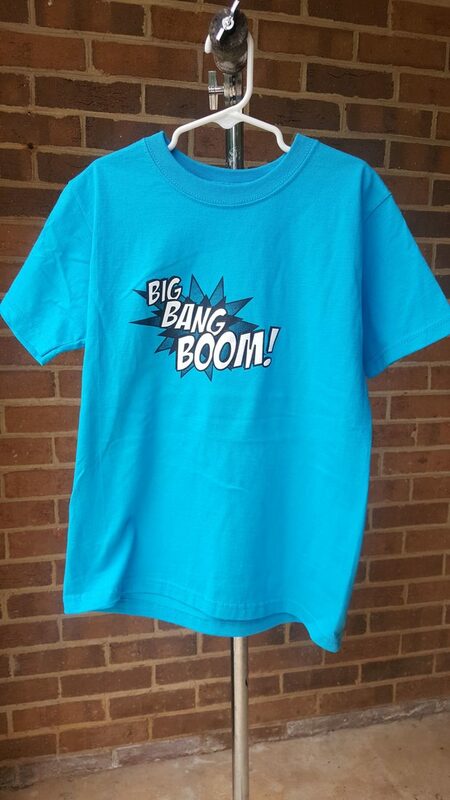 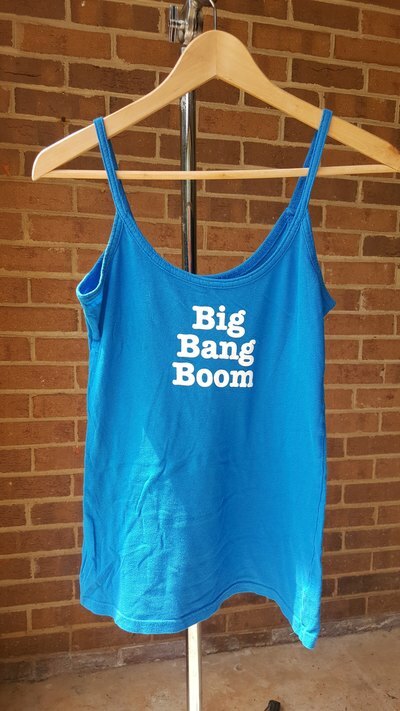 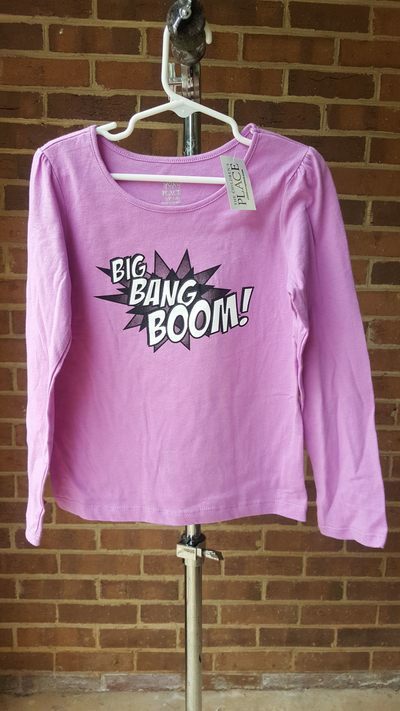 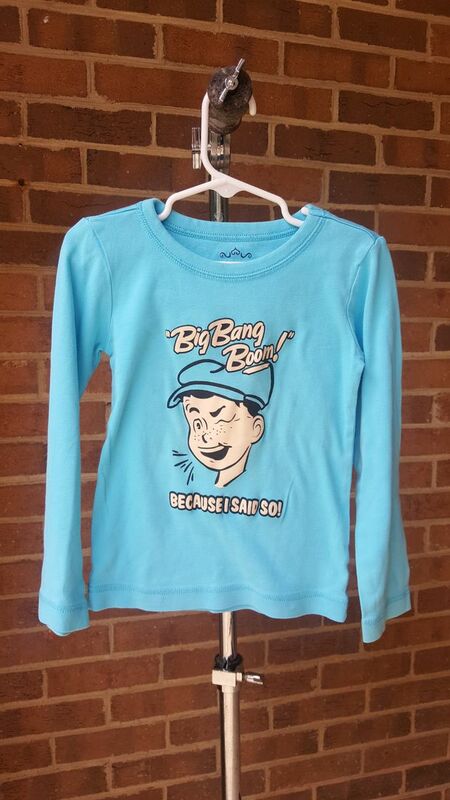 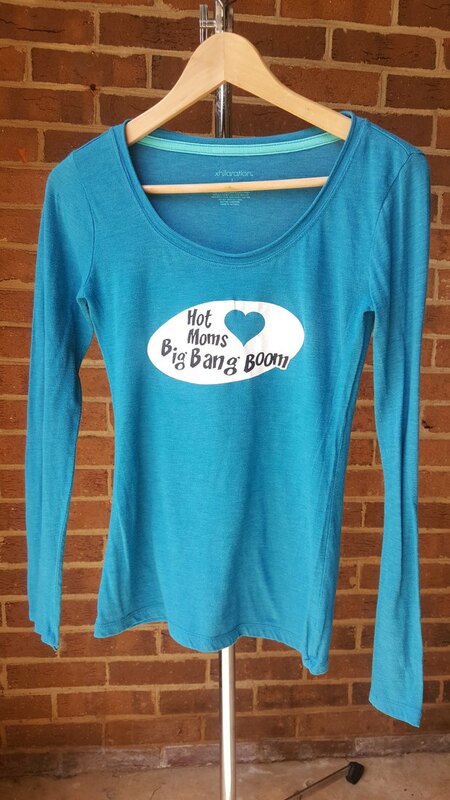 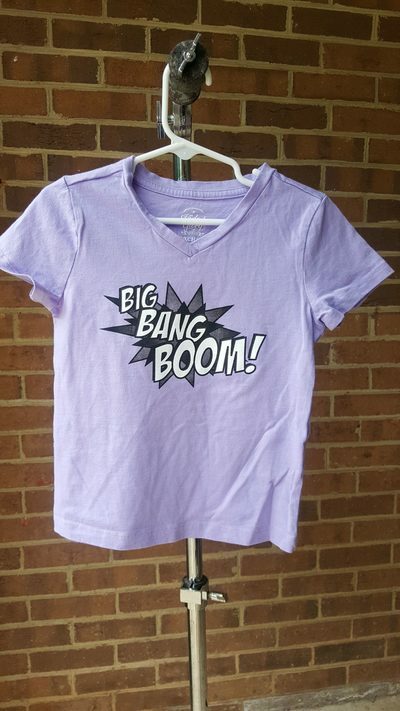 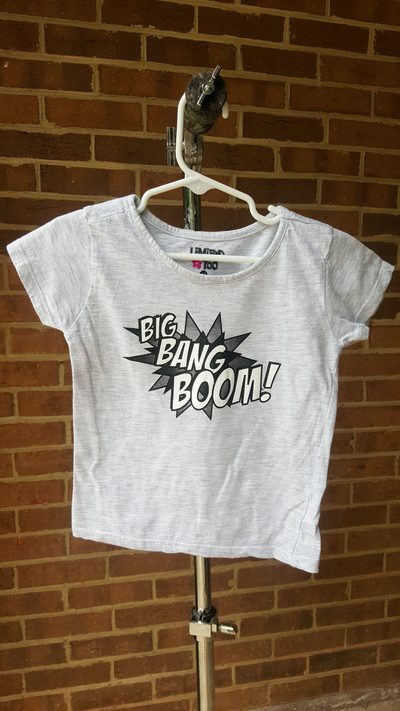 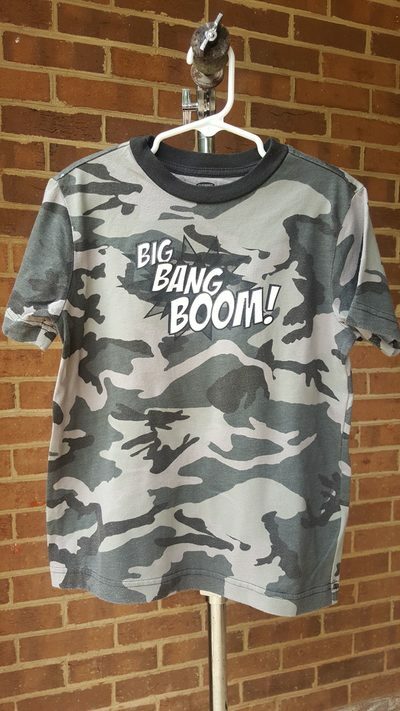 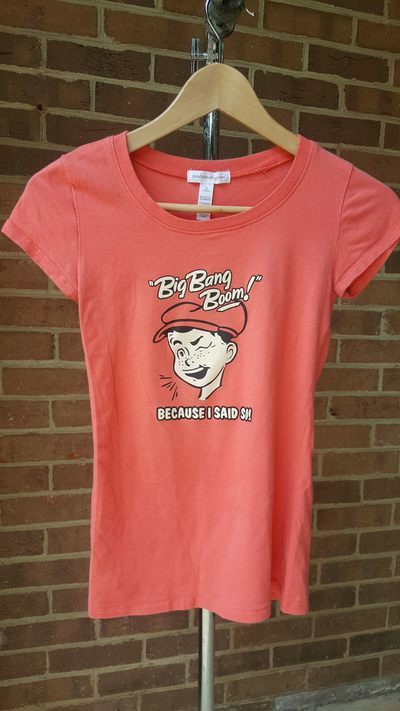 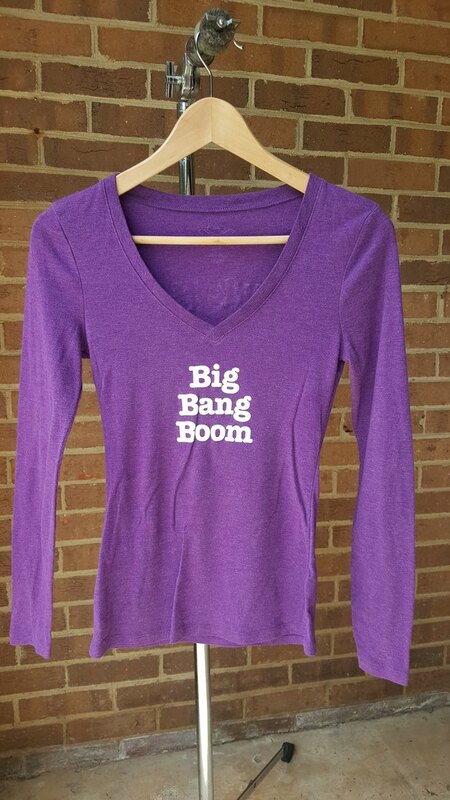 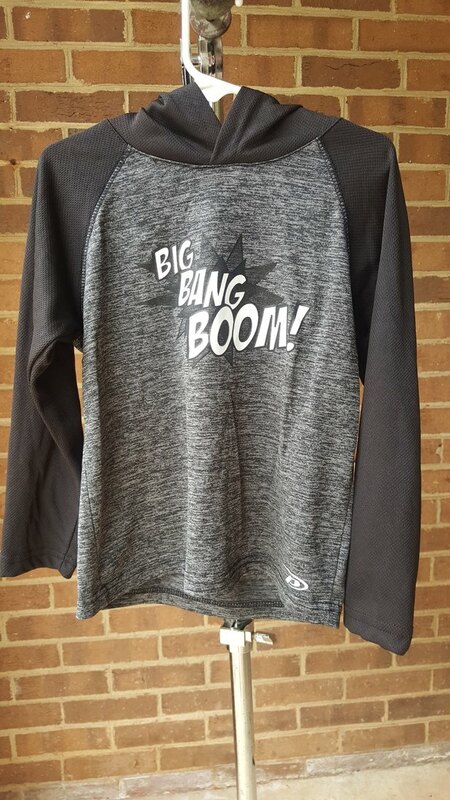 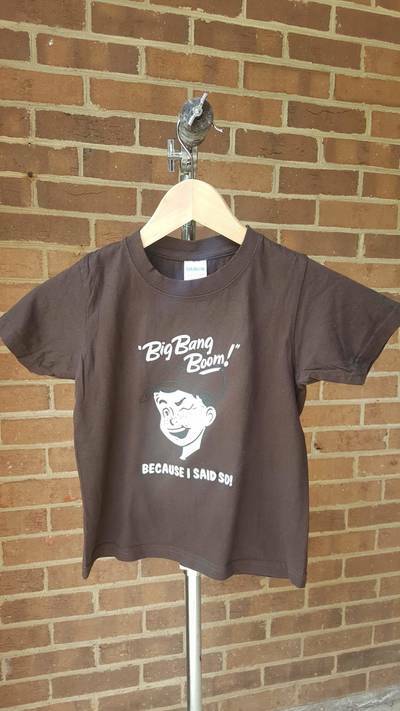 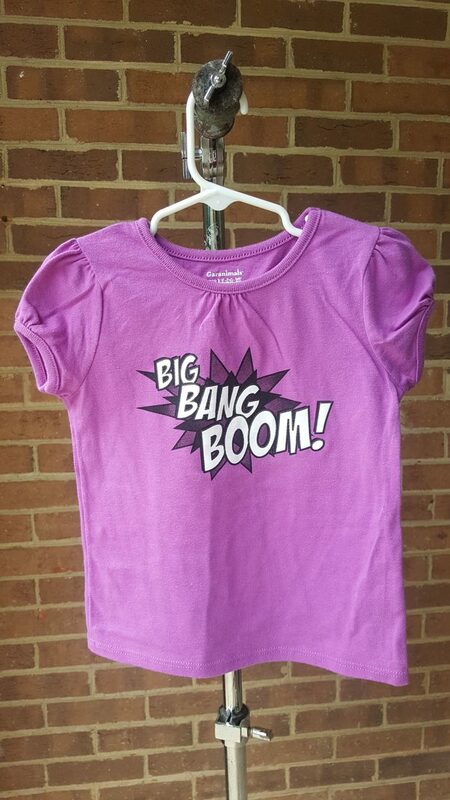 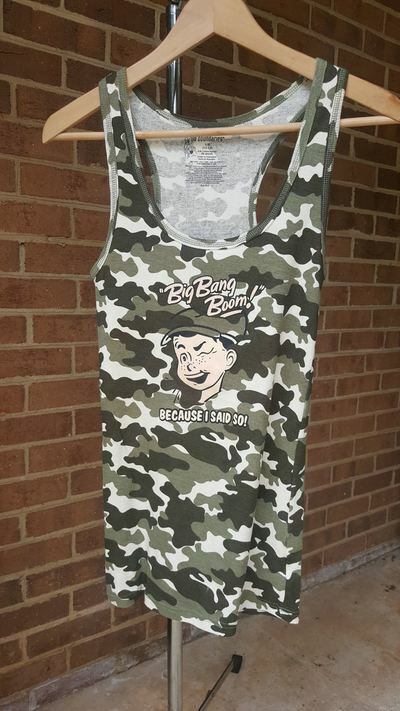 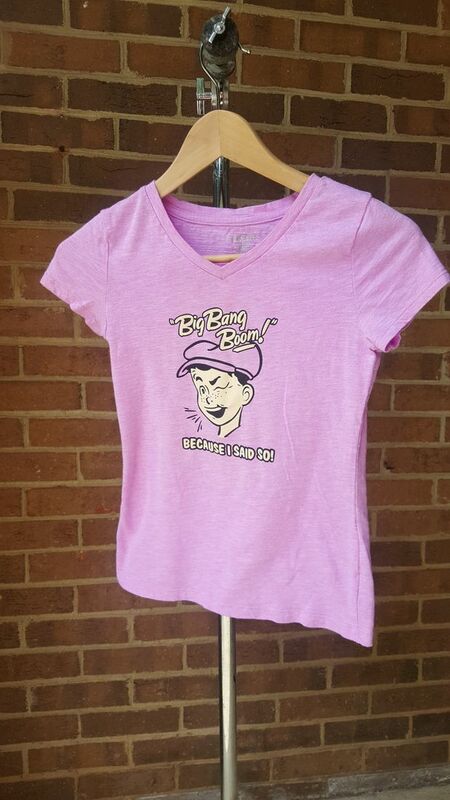 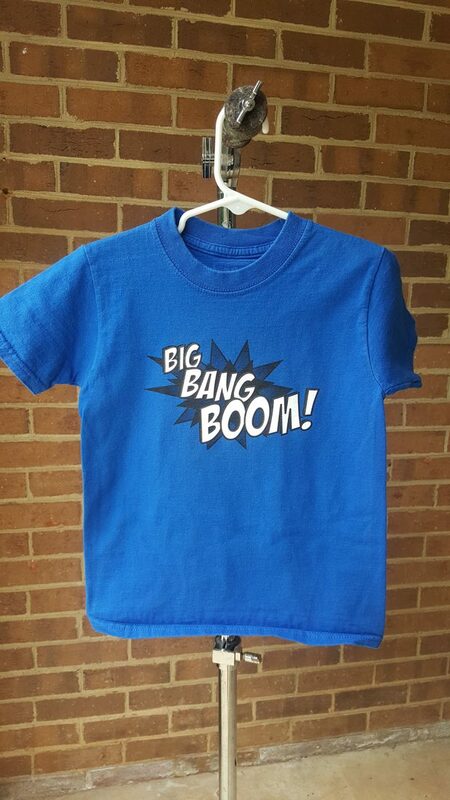 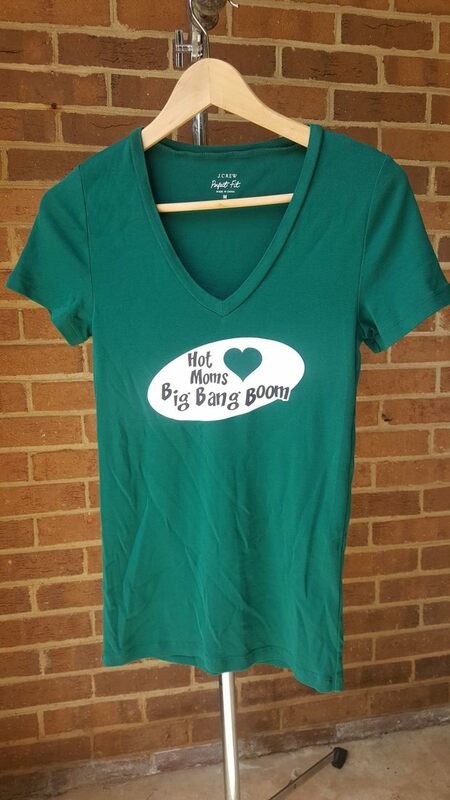 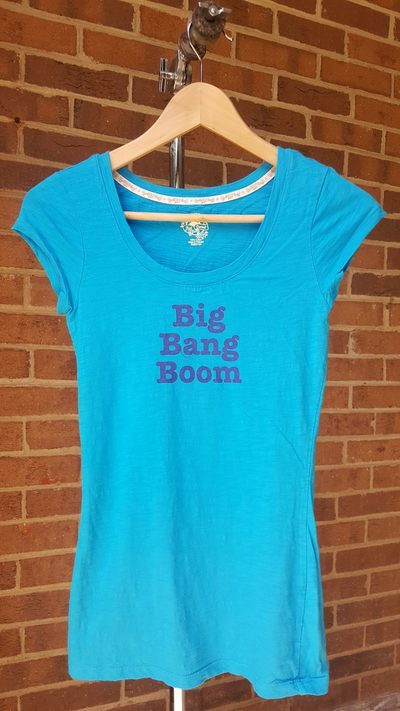 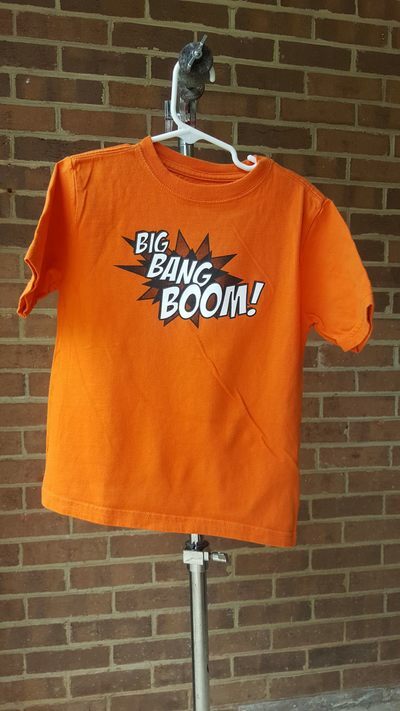 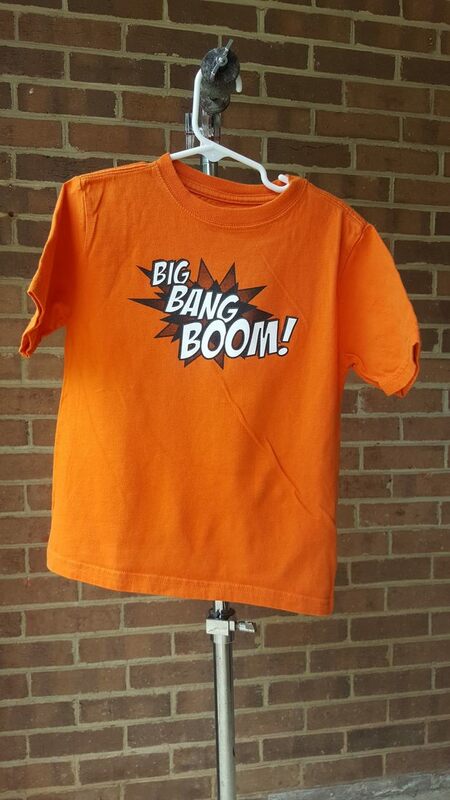 Choose from a variety of assorted styles, colors, brands, and sizes with 4 Big Bang Boom Designs! 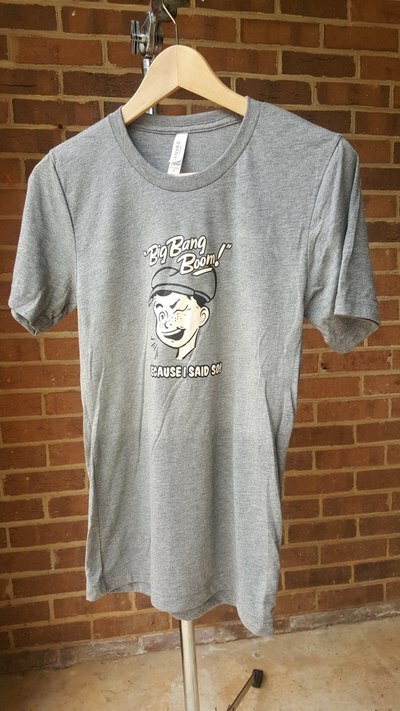 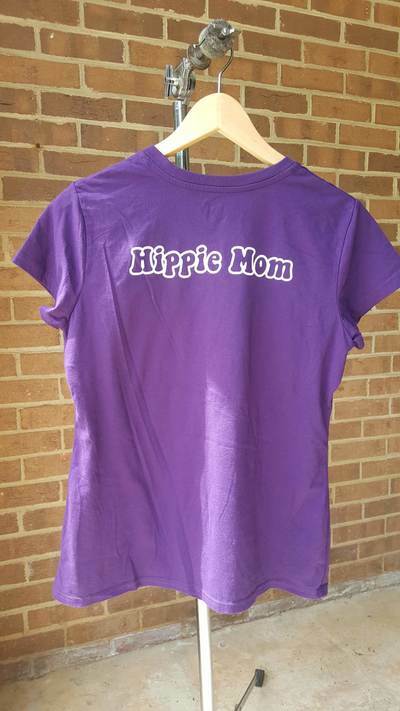 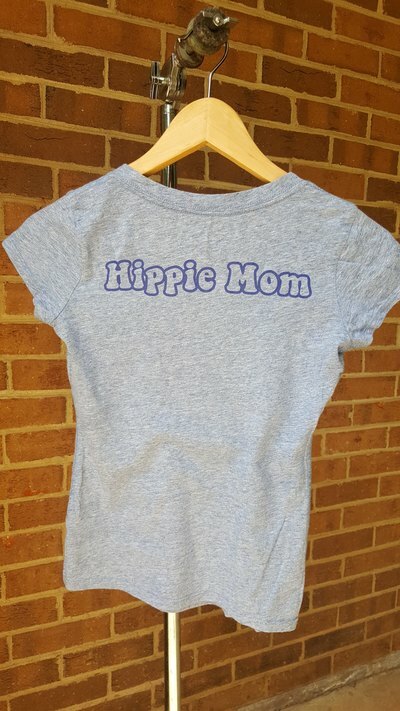 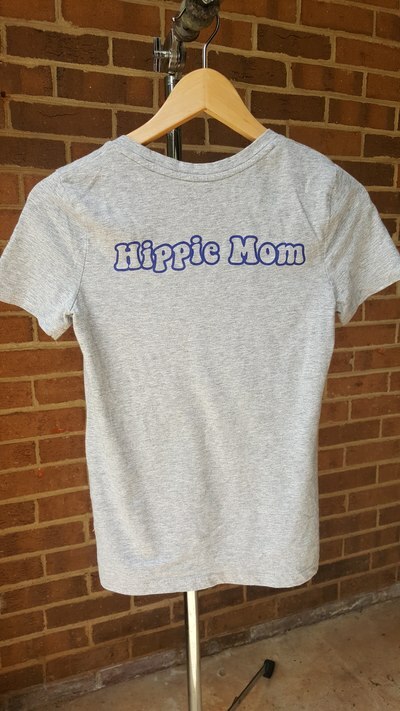 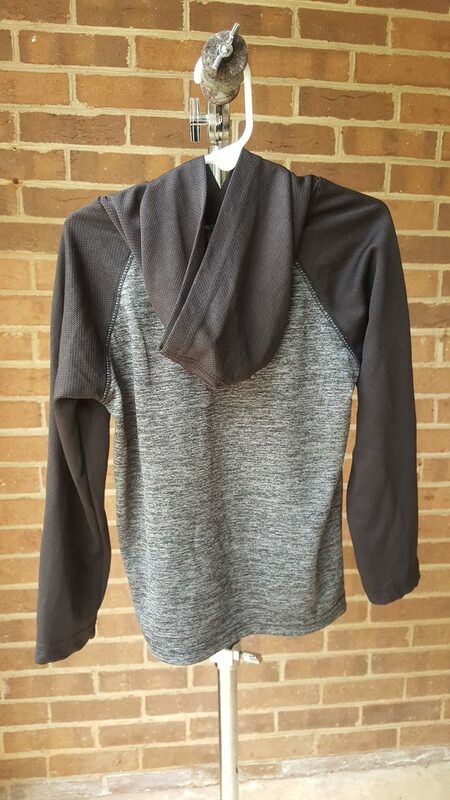 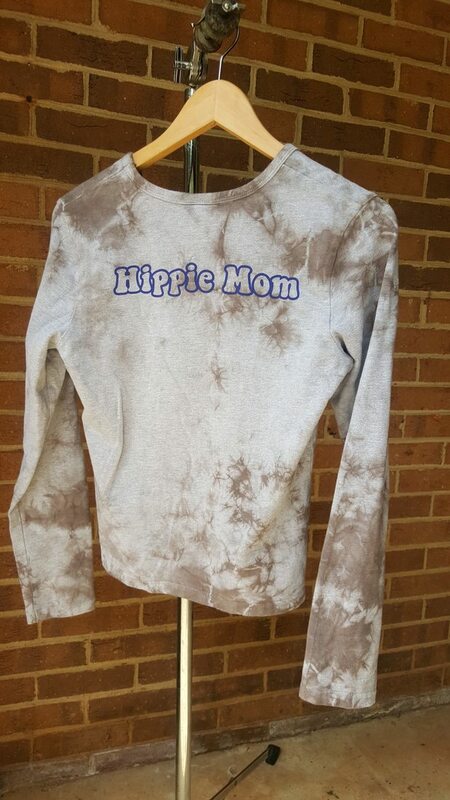 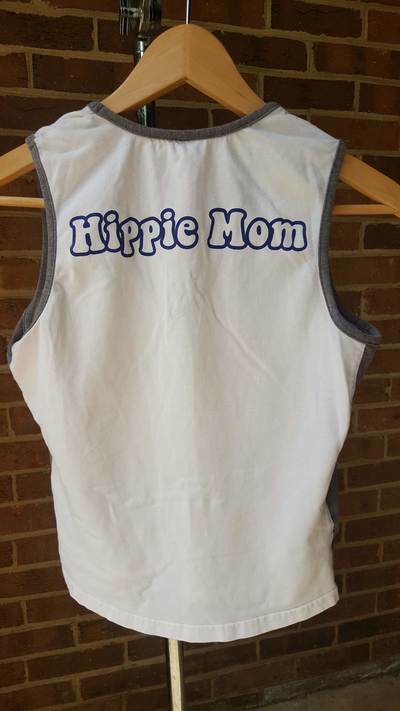 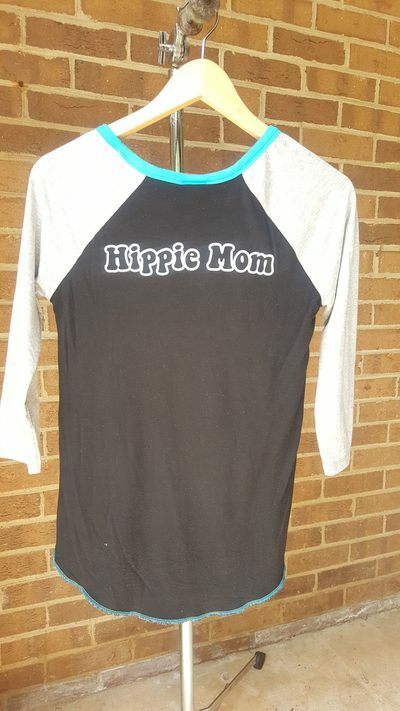 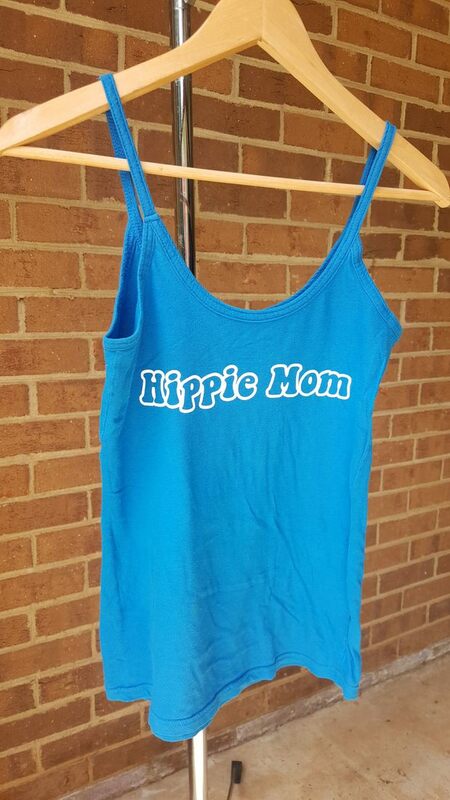 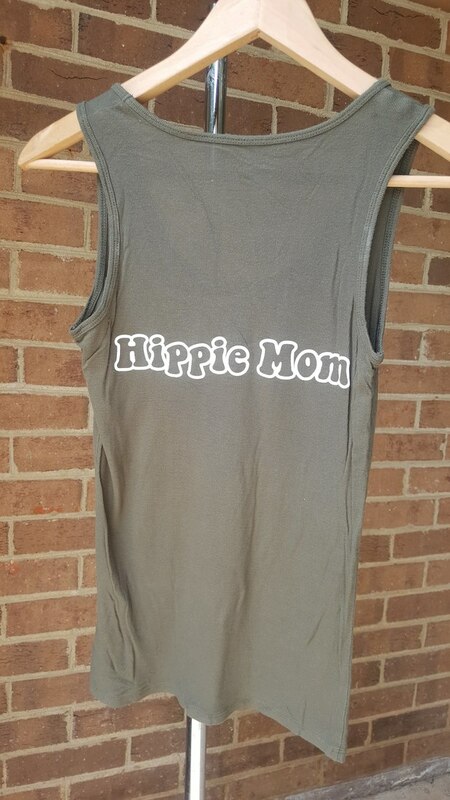 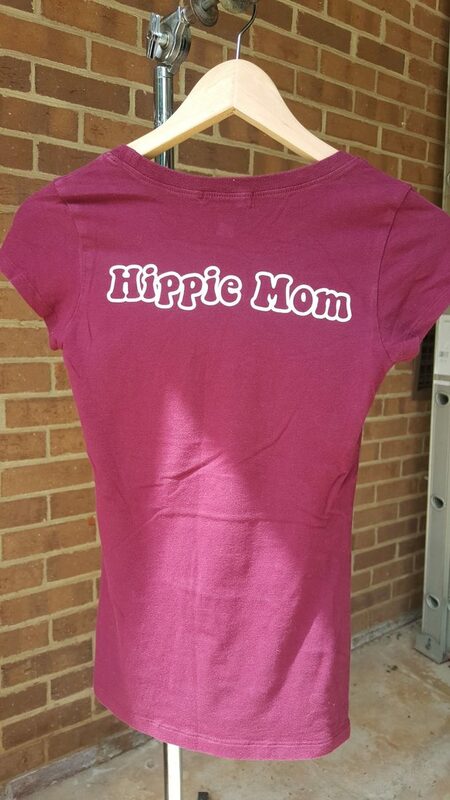 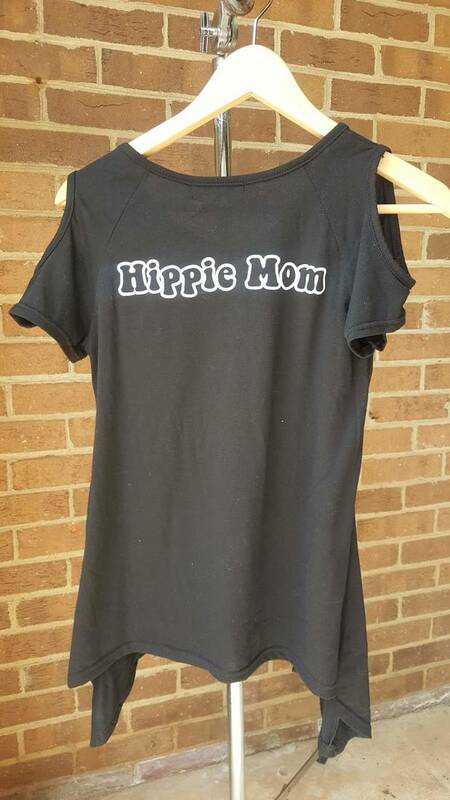 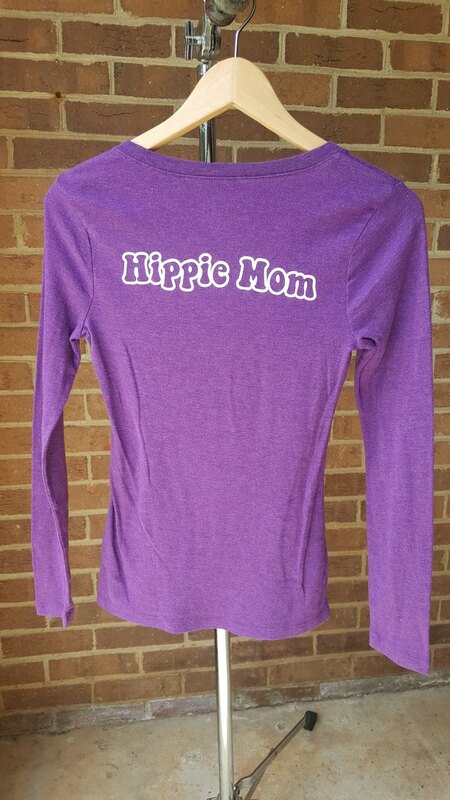 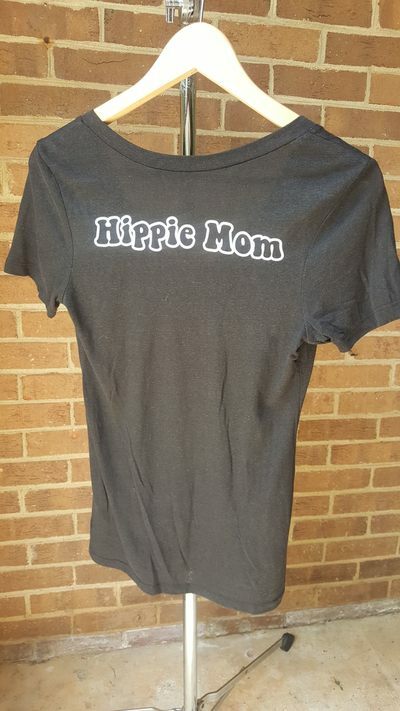 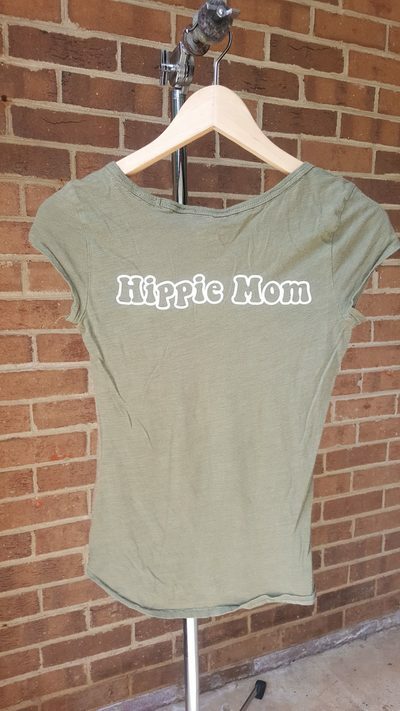 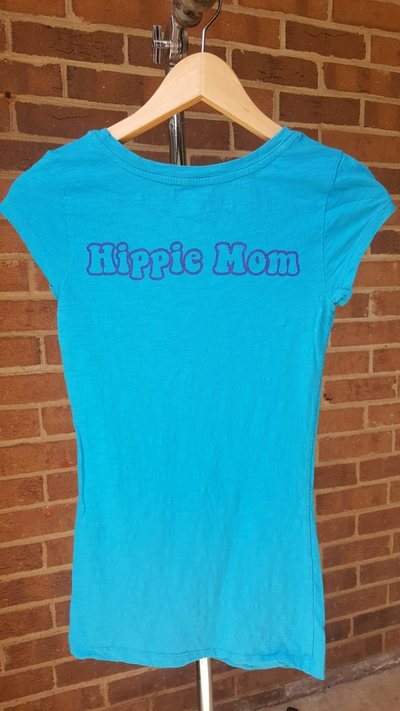 Plus $3.00 in shipping, unless you want to come pick it up at a live show! Style: Adult Short-sleeve Size: Small Color: Goldish yellow Brand: Mossimo Supply Co. 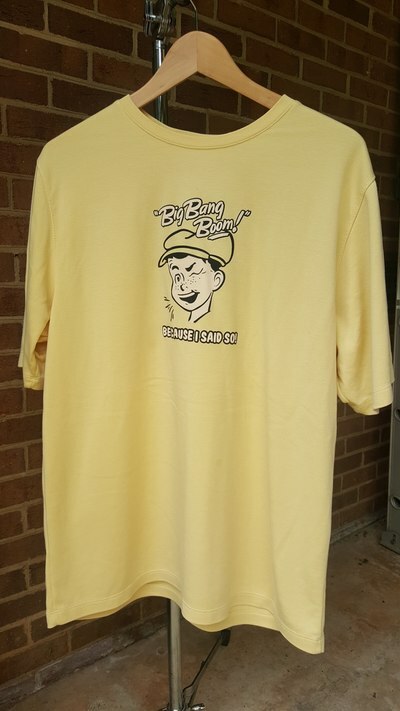 Style: Adult Short-sleeve, Size: Small, Color: Goldish yellow, Brand: Mossimo Supply Co. 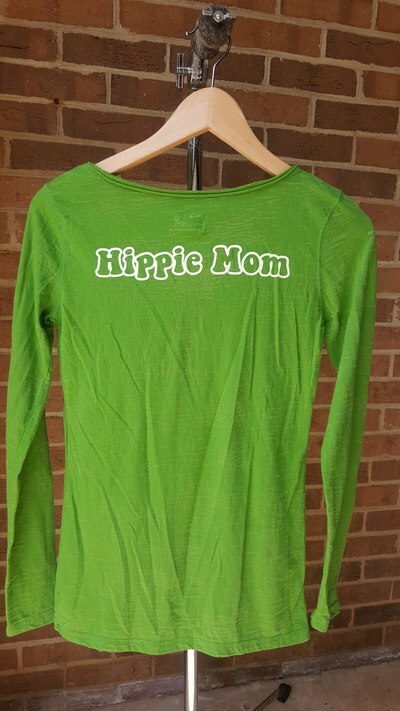 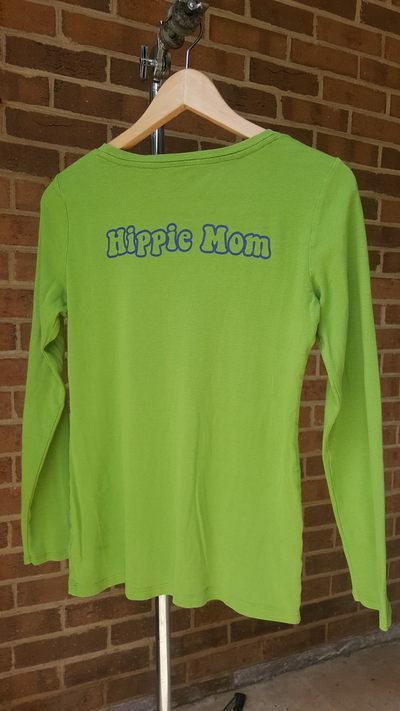 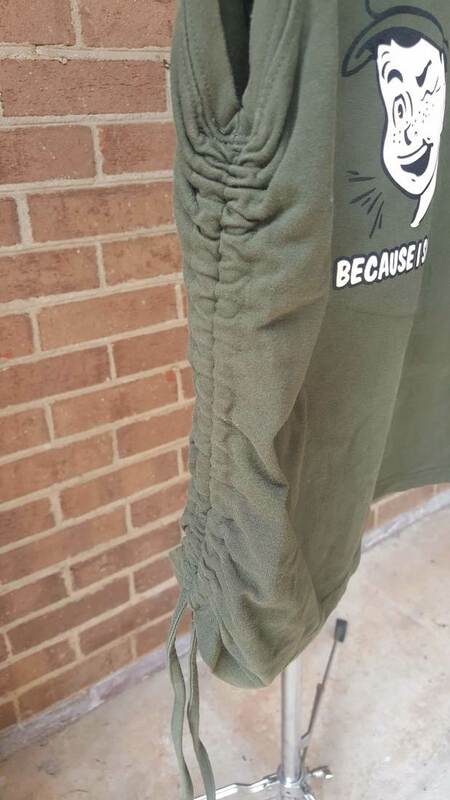 Style: Adult Long-sleeve, Size: Small, Color: Green, Brand: Mossimo Supply Co. Style: Adult Short-sleeve, Size: X-Small, Color: Red, Brand: Mossimo Supply Co. 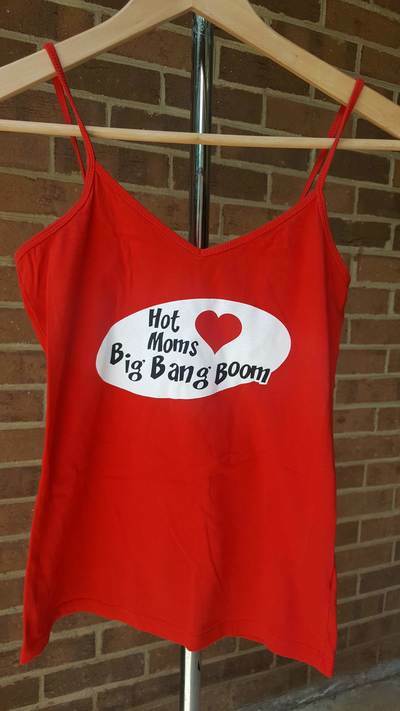 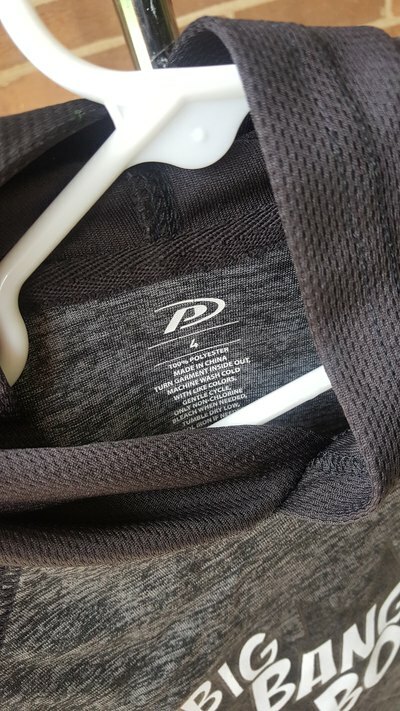 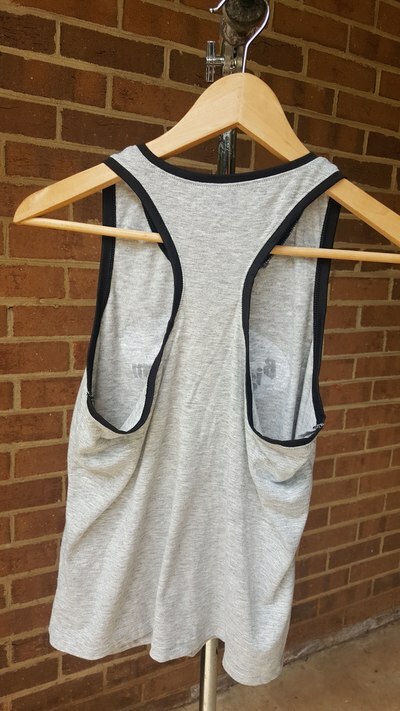 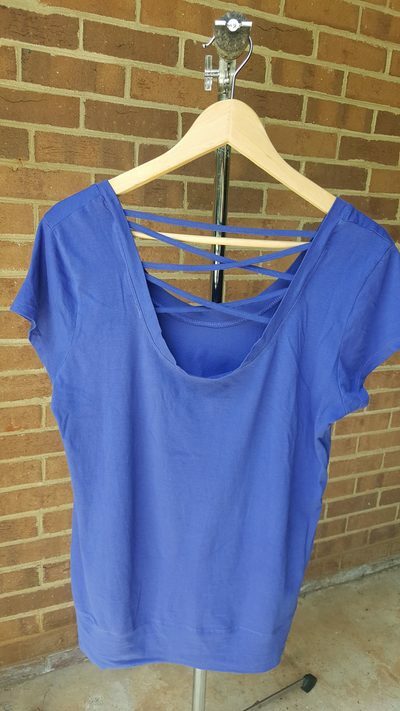 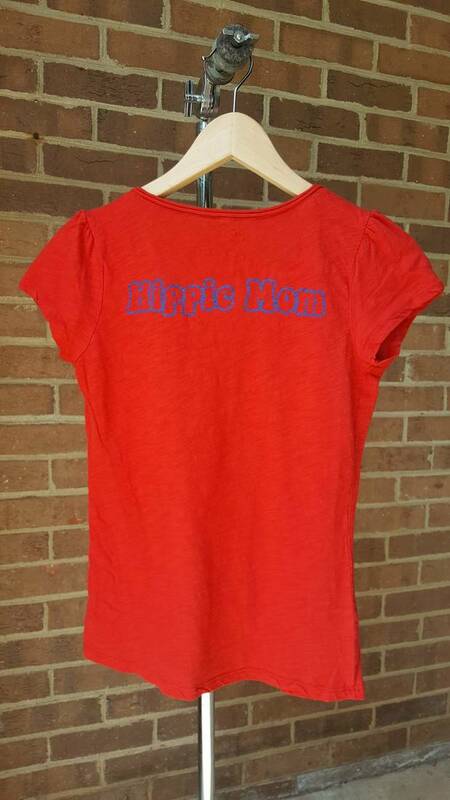 Style: Adult Tanktop, Size: Med, Color: Red, Brand: NY & Co. 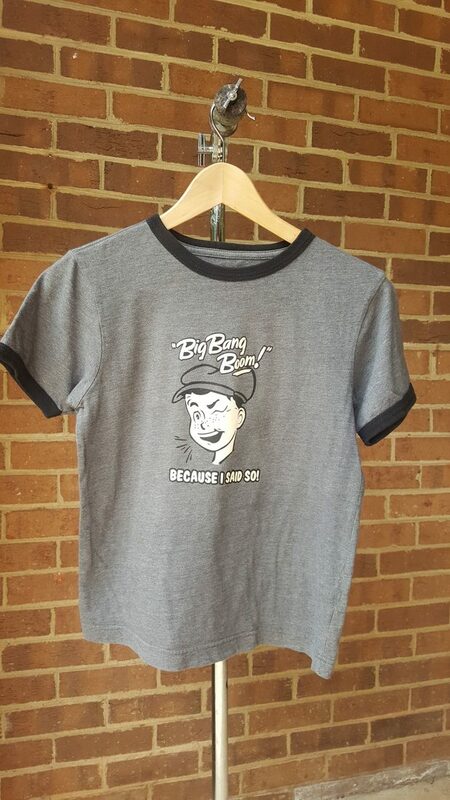 Wear it while you play, work, sleep, dance, and make music.